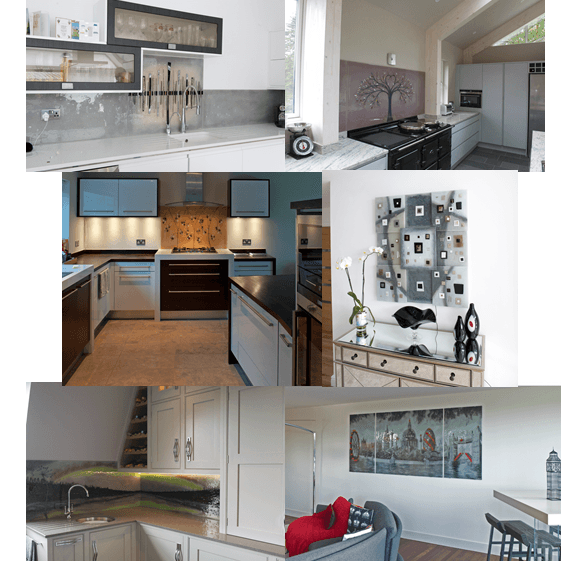 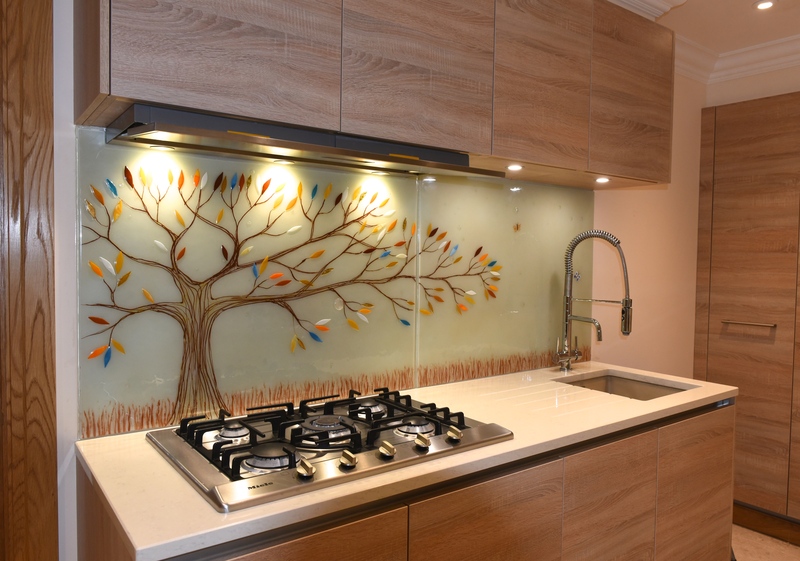 They say the kitchen should be the heart of the home, so it only makes sense to ensure that yours looks as great as possible. 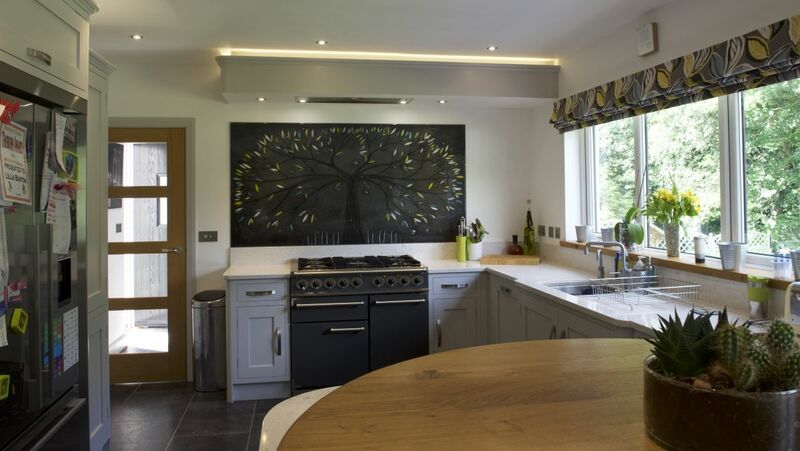 It’s where food is made for the whole family, after all, and a kitchen that’s been decorated well can be a great place for conversation between friends, family and guests alike. 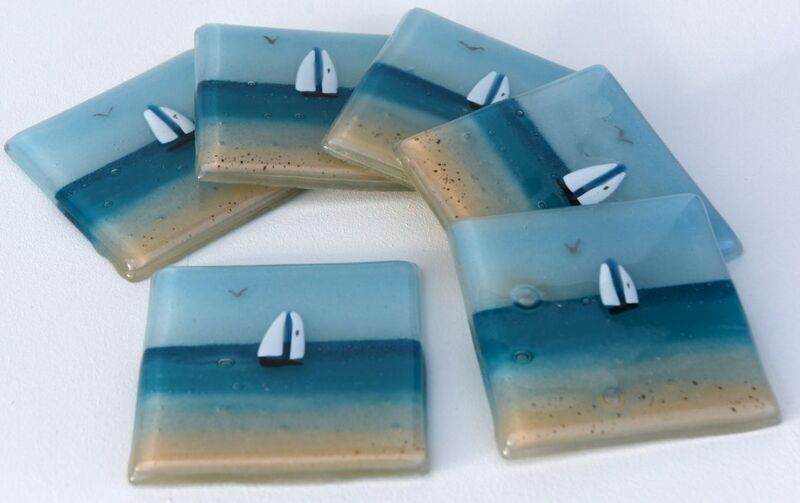 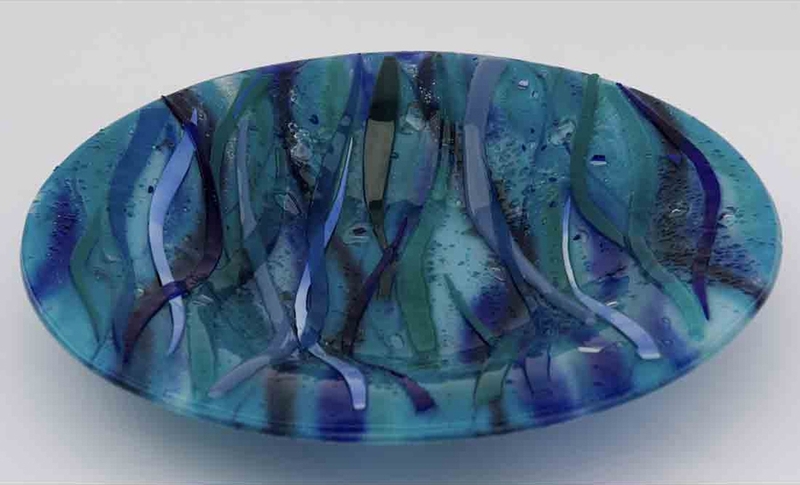 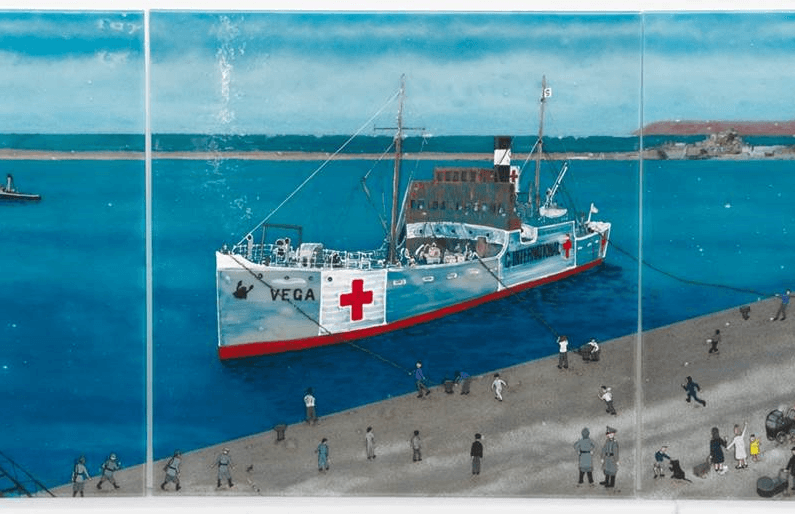 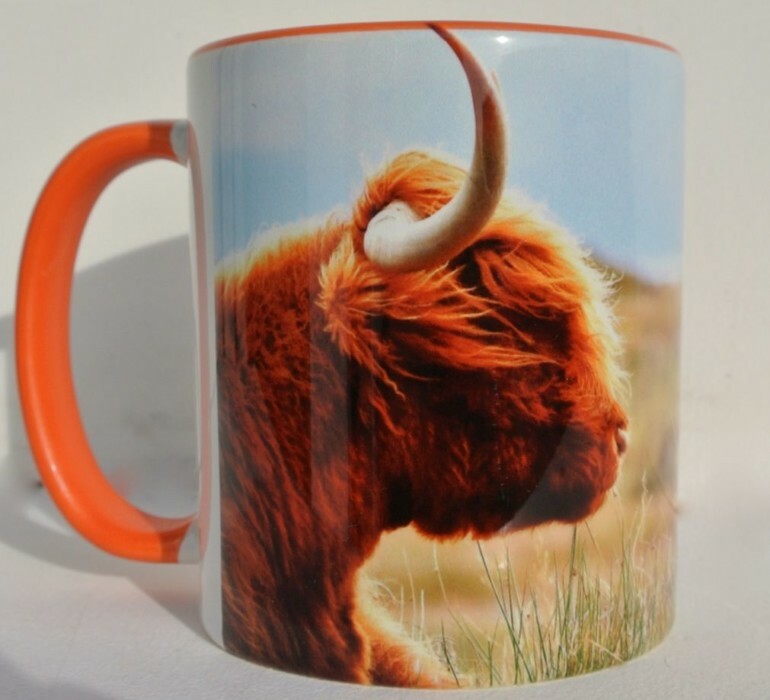 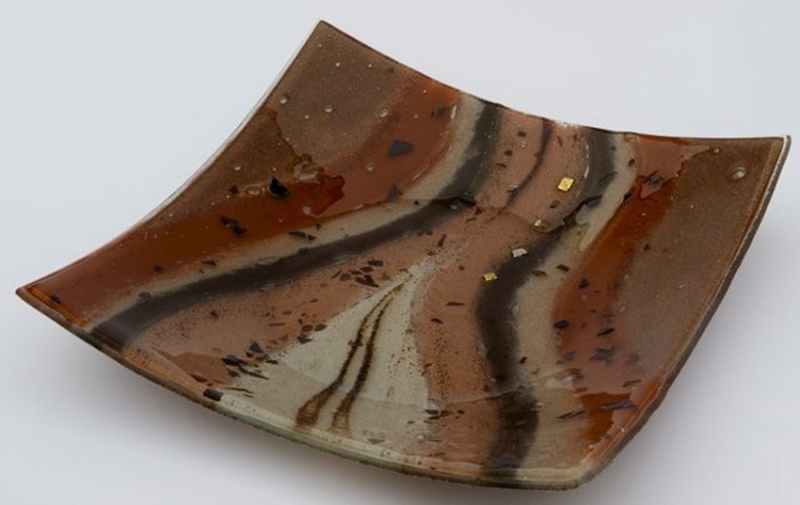 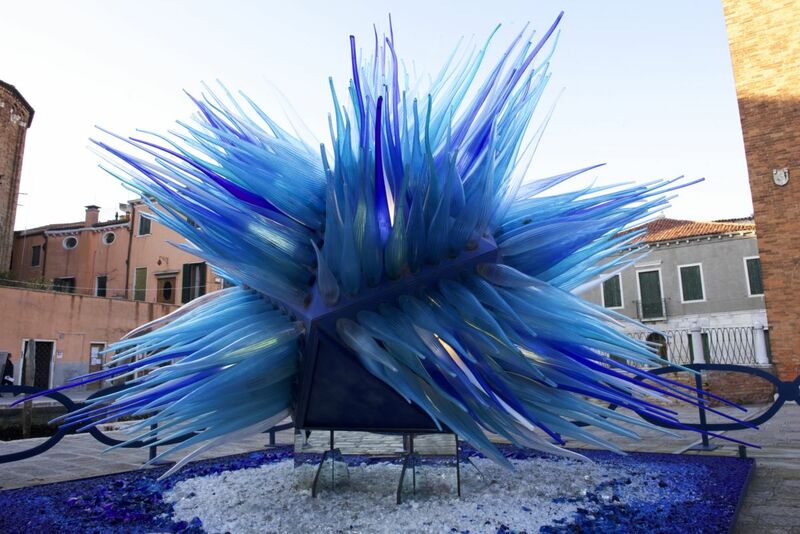 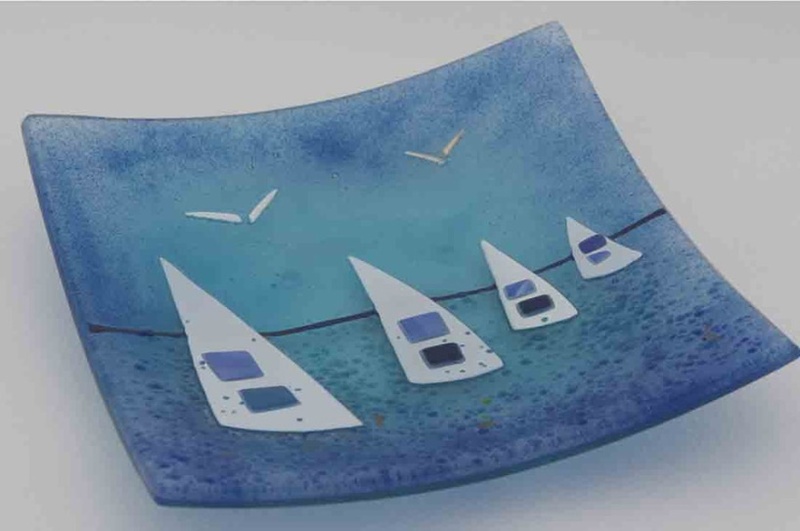 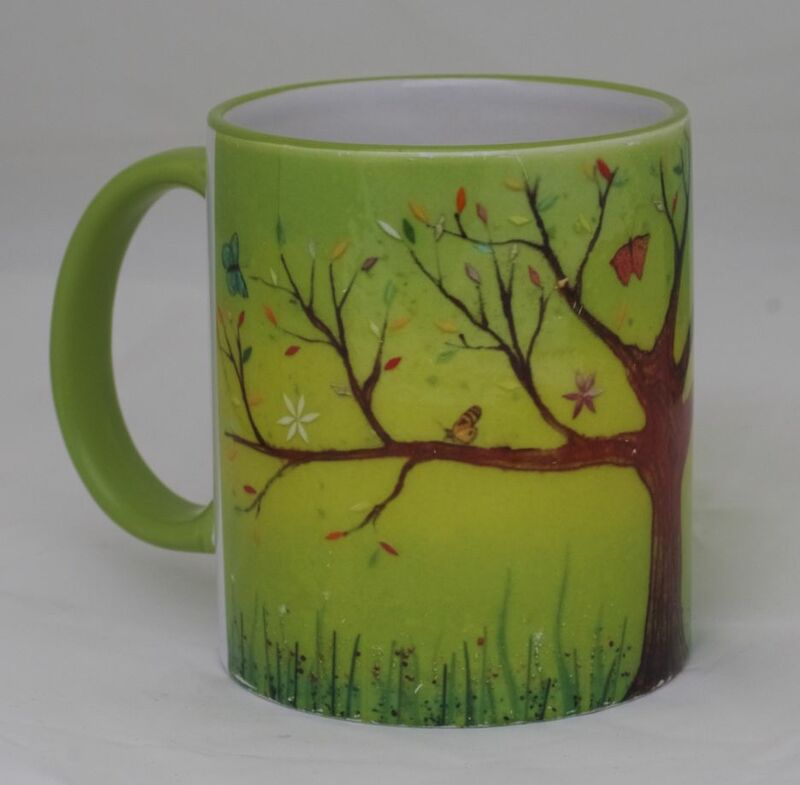 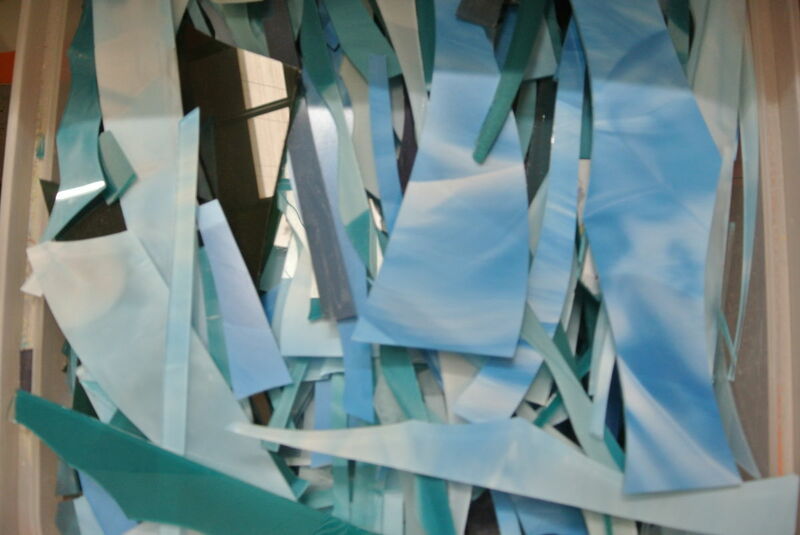 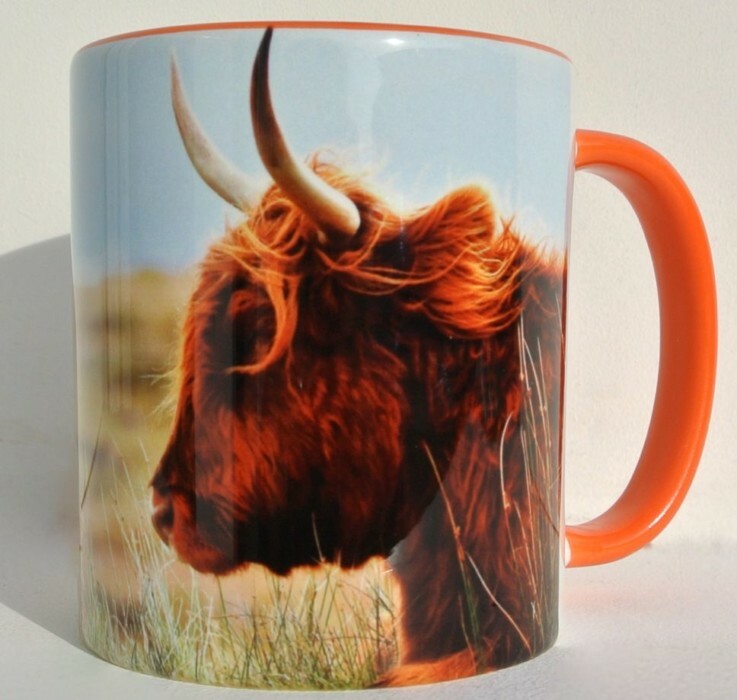 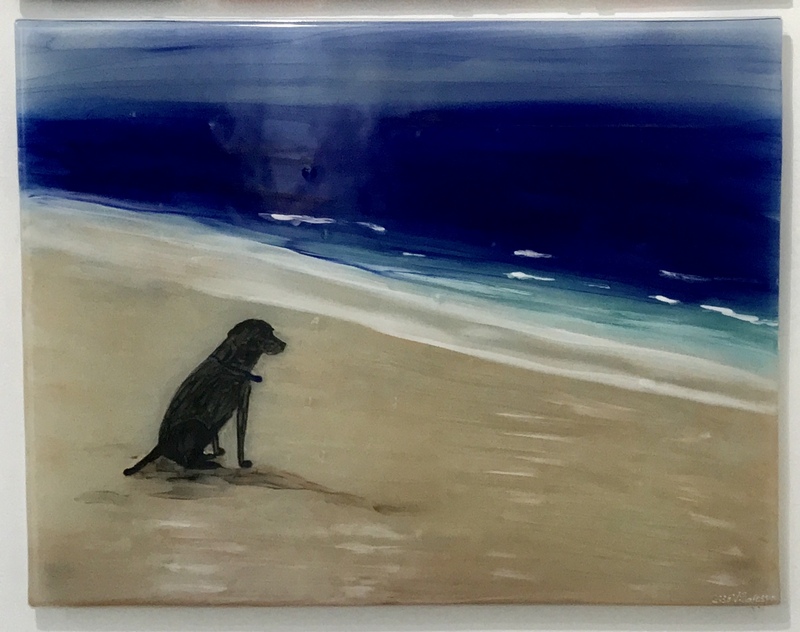 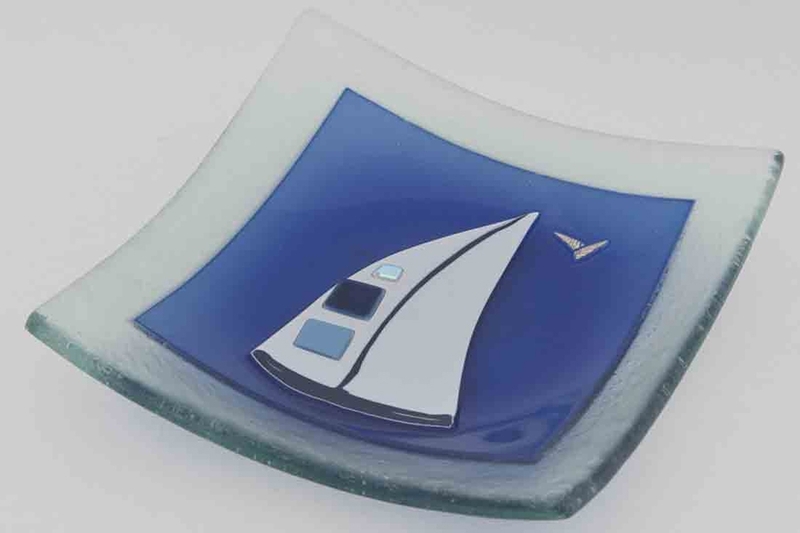 As you may be able to guess, fused glass art can do of good a lot in that regard. 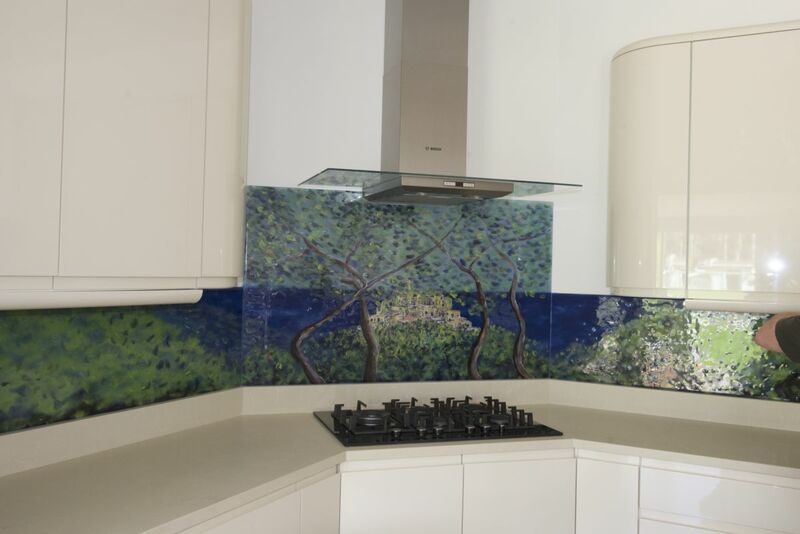 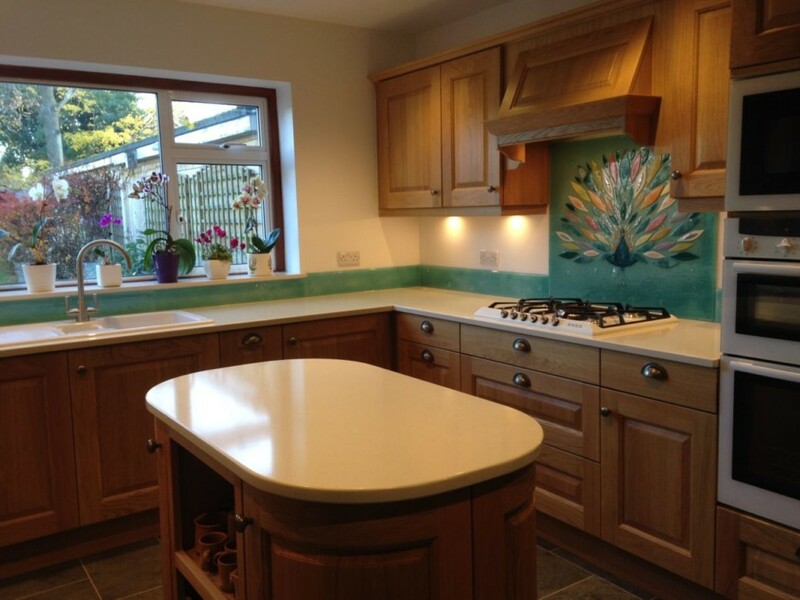 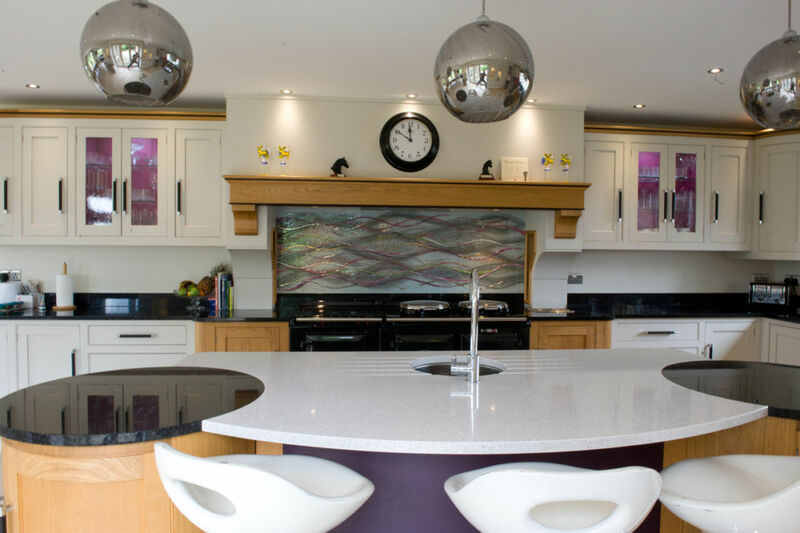 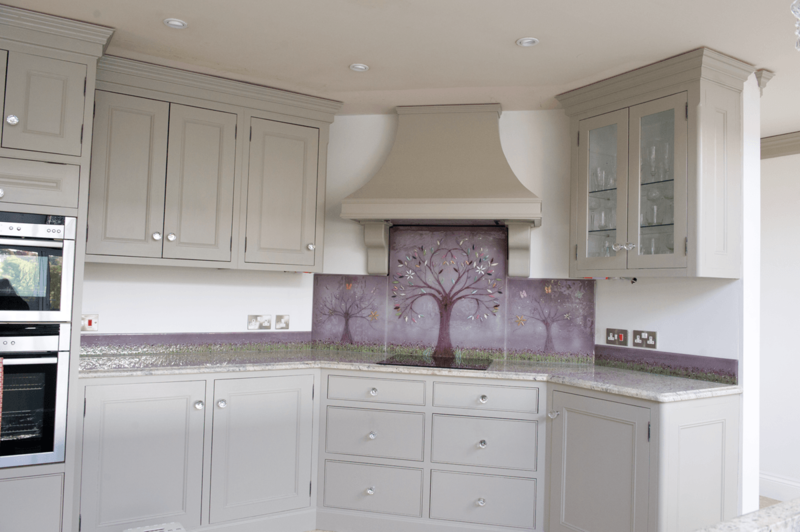 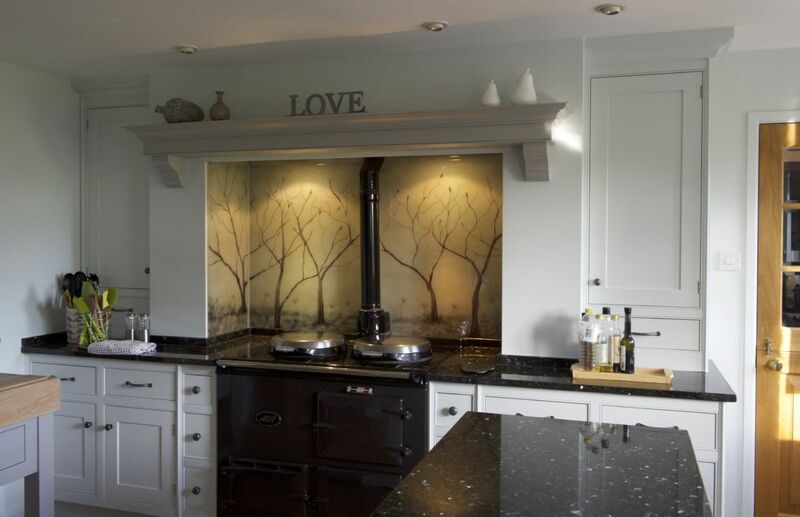 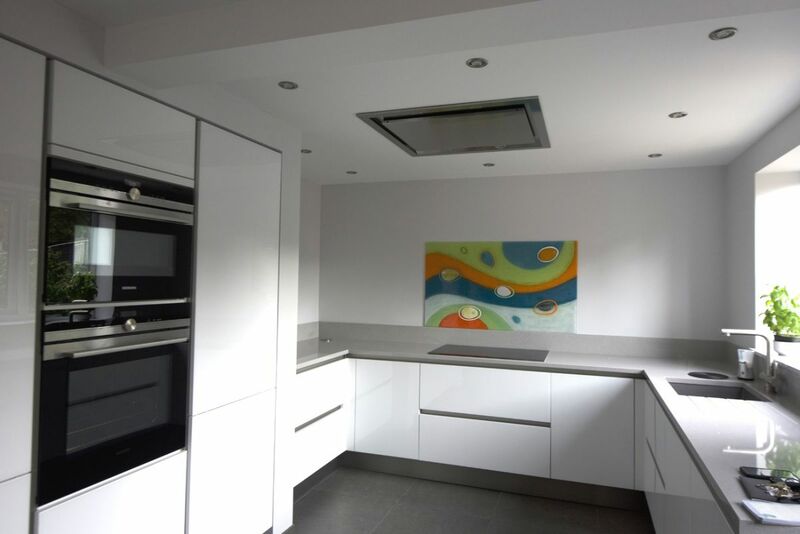 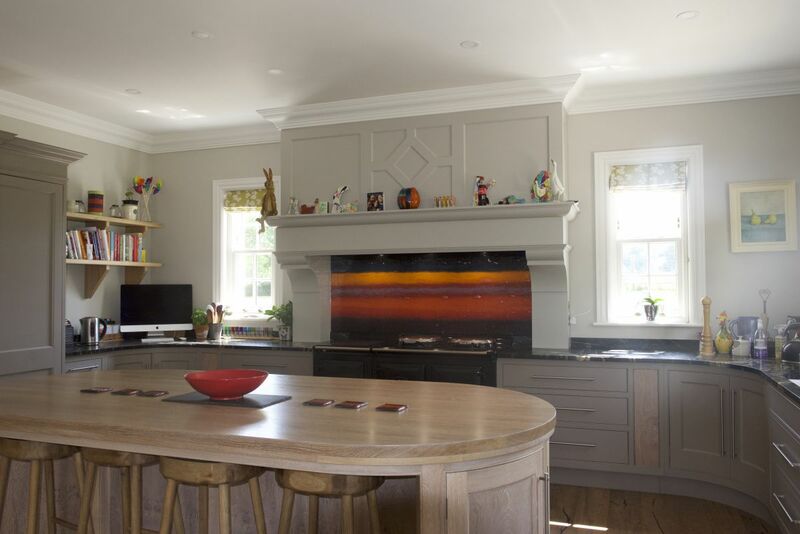 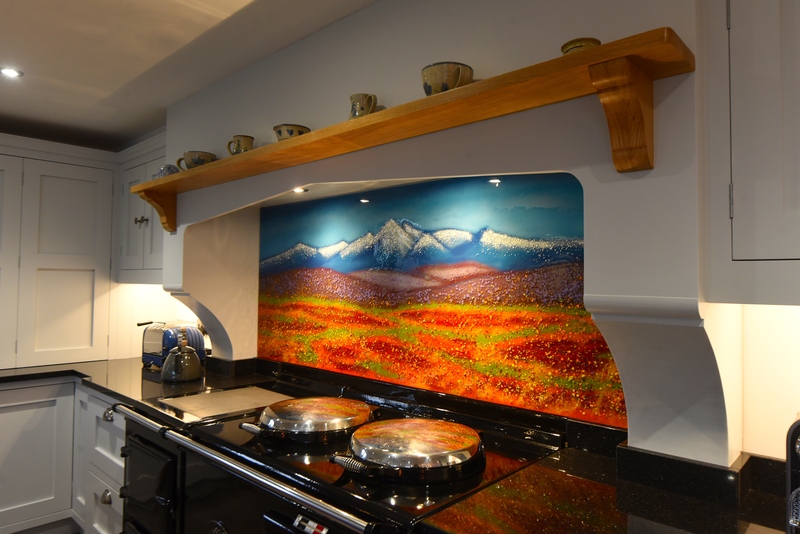 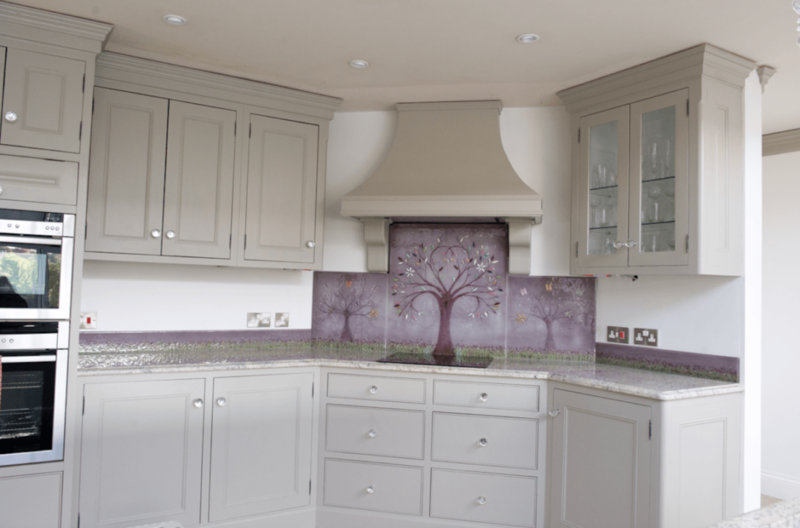 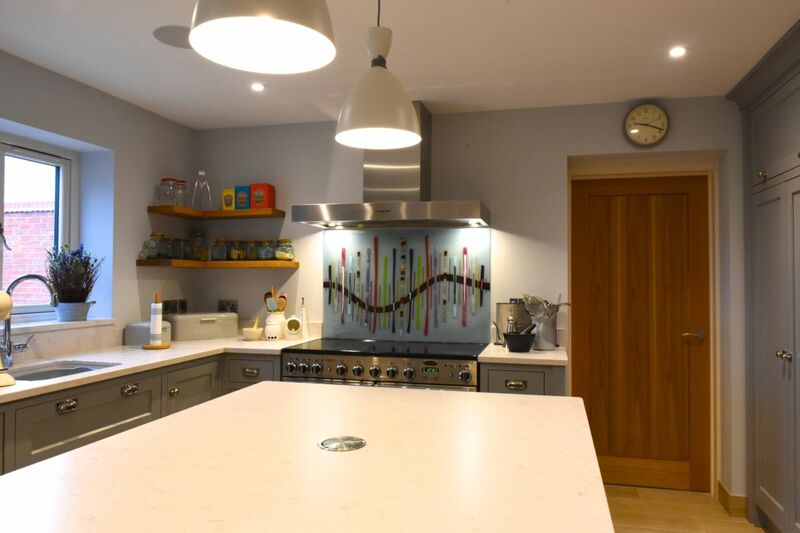 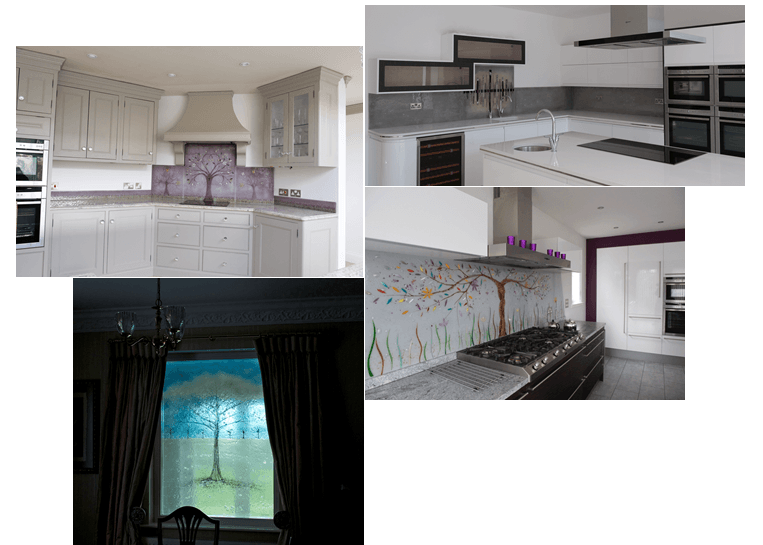 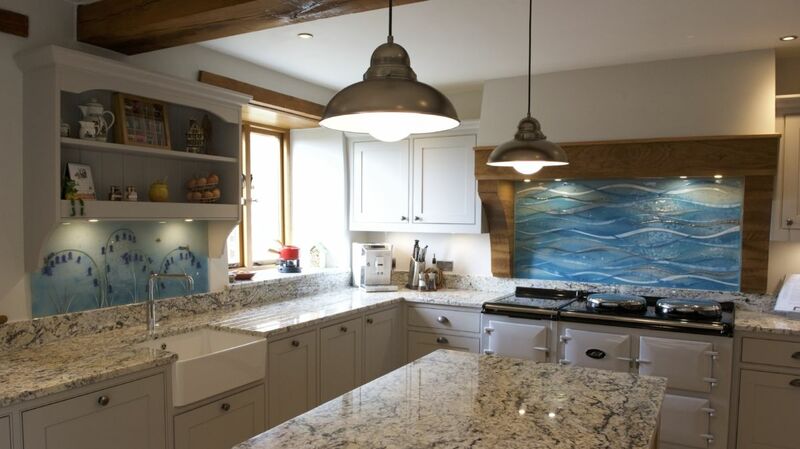 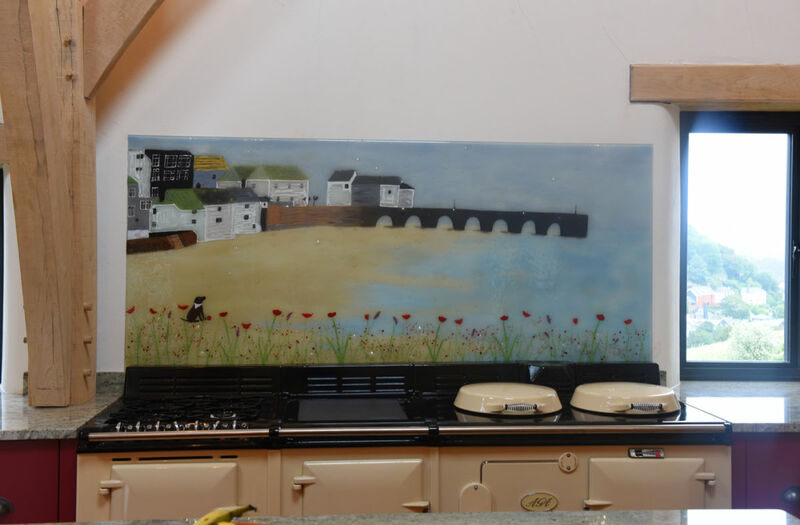 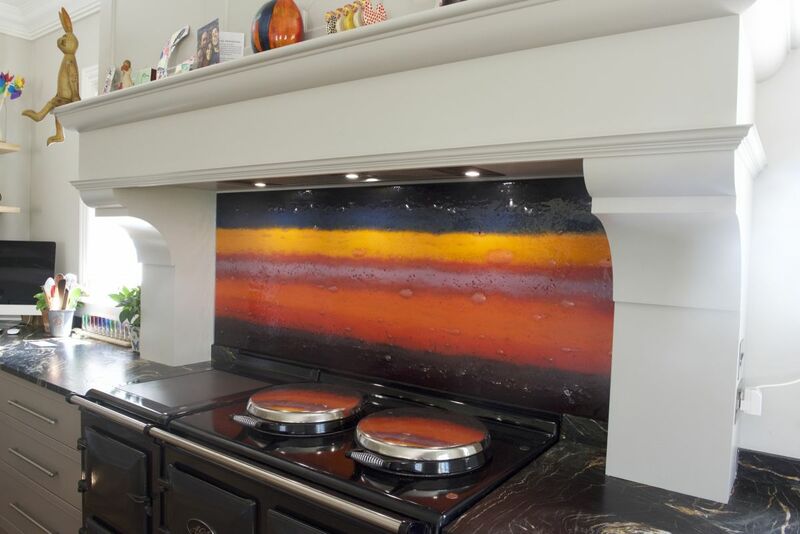 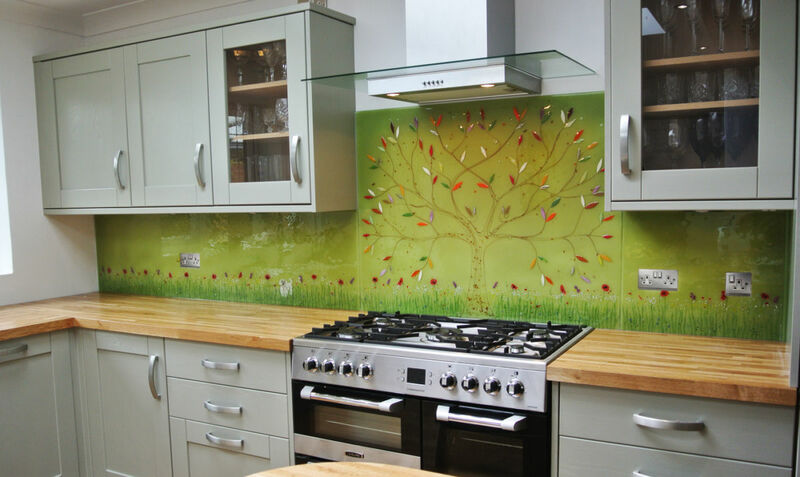 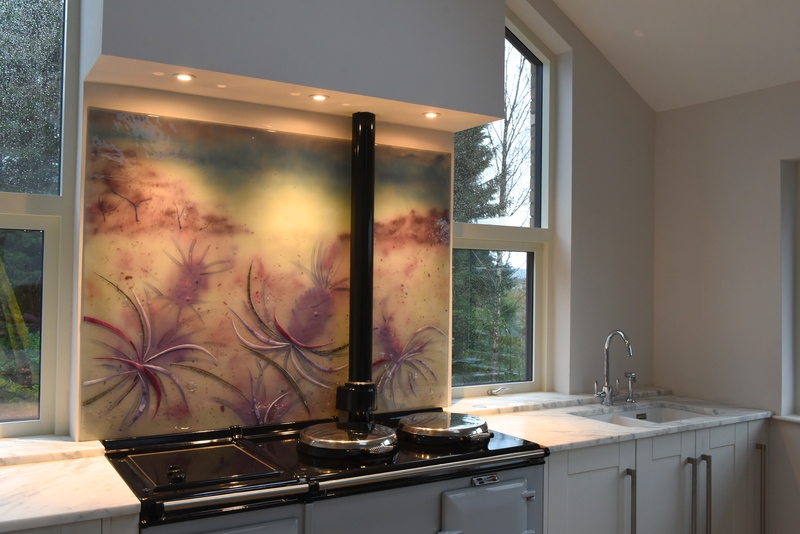 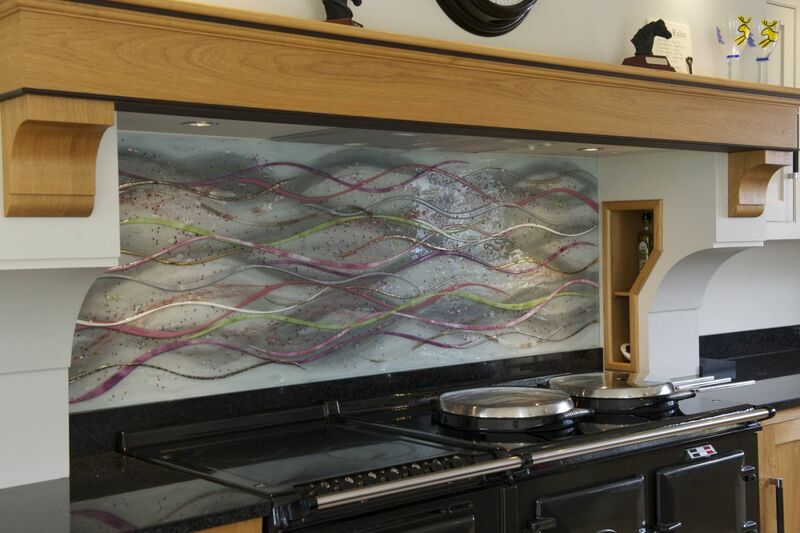 The splashback we’re featuring today, comprised of two panels linked together, definitely contributes a huge amount towards making this kitchen the heart of this particular home! The design, as you may be able to tell, is a very pale one overall, taking a minimalist approach to our classic Wave design. 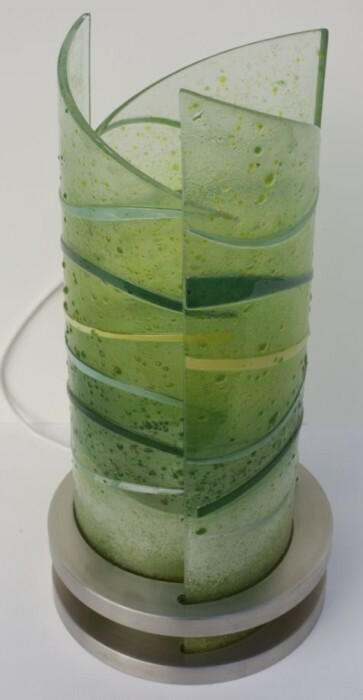 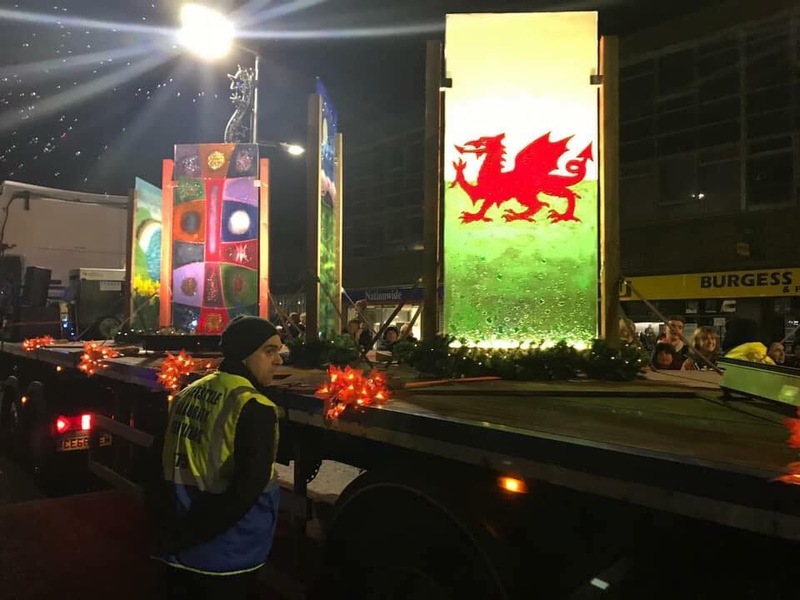 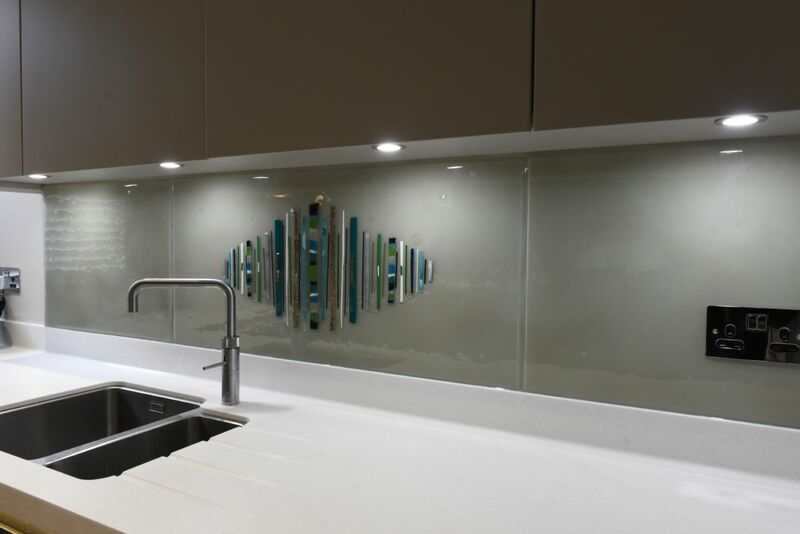 White makes up the primary body of the two connected panels, with subtle streaks of green adding the perfect amount of colour to the glass. 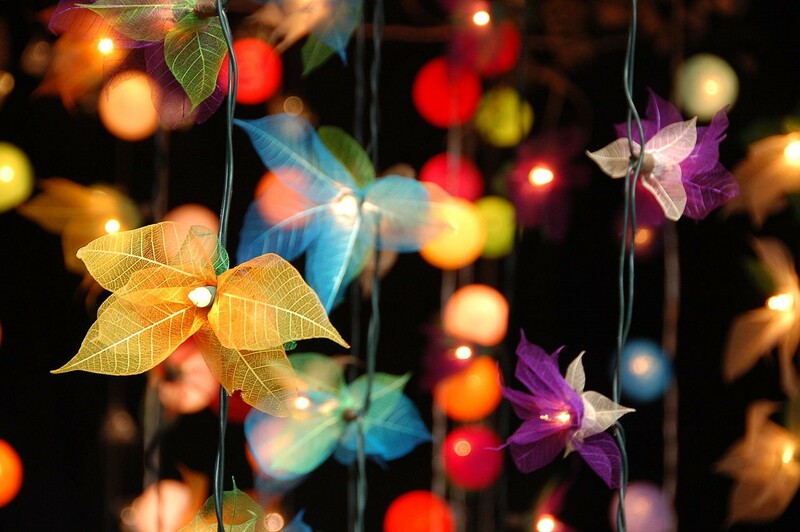 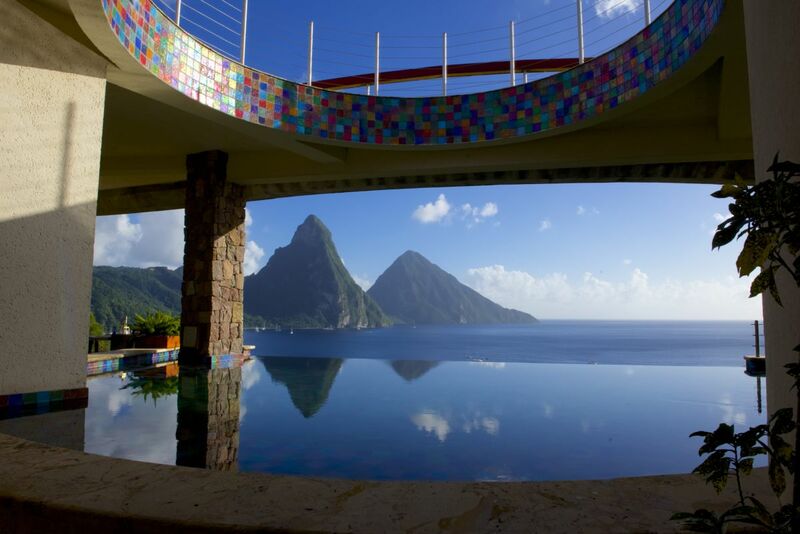 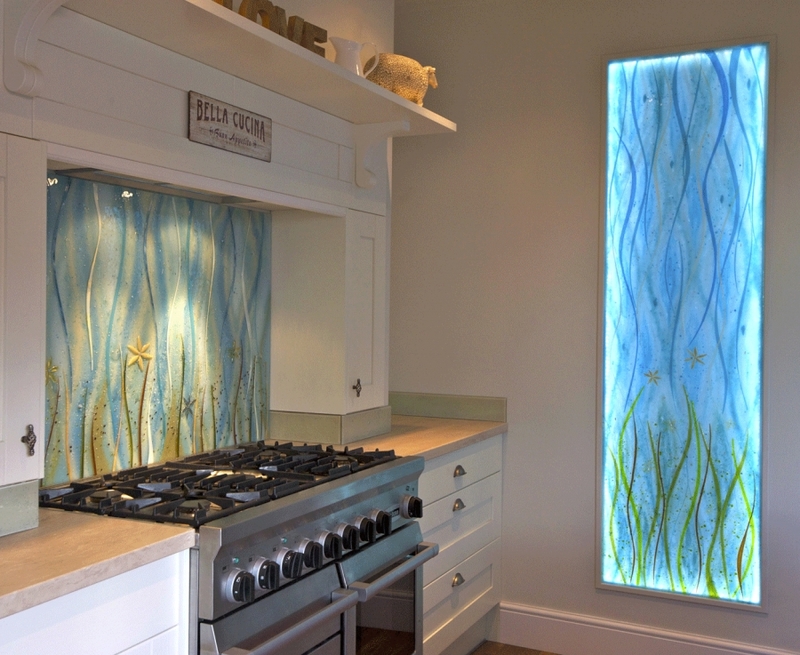 What we love most about this installation is the use of light. 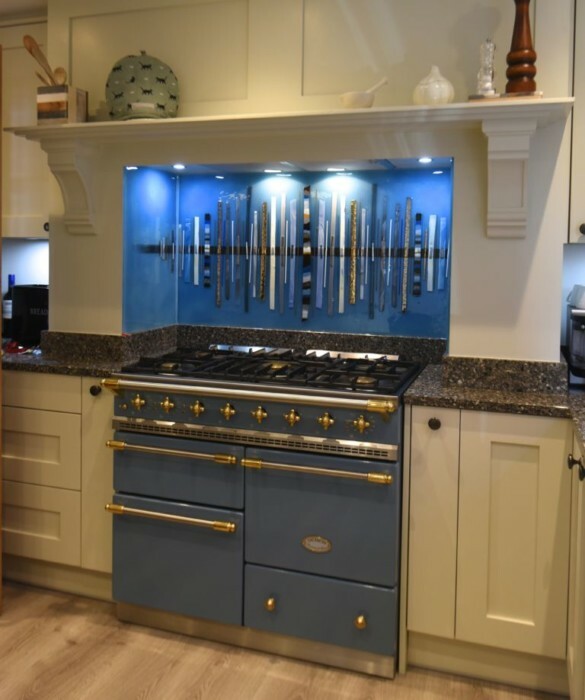 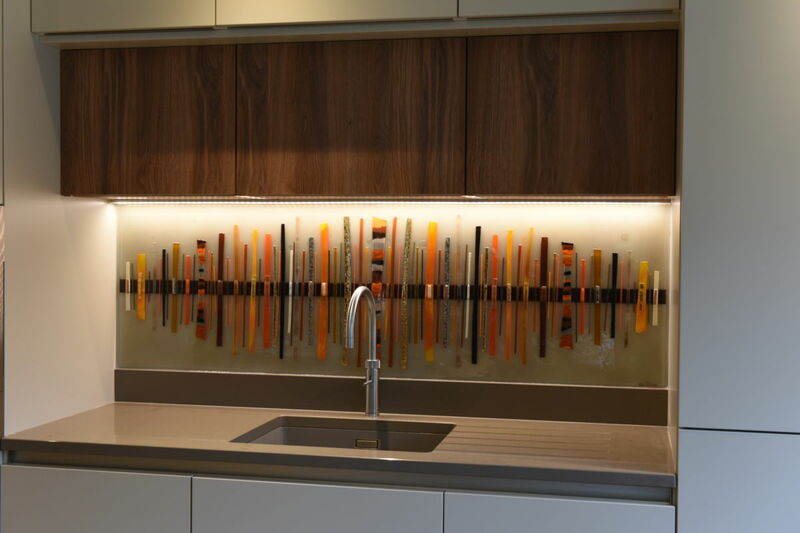 The kitchen and the splashback both benefit from being illuminated by yellow lights, which work to create a complementary effect. 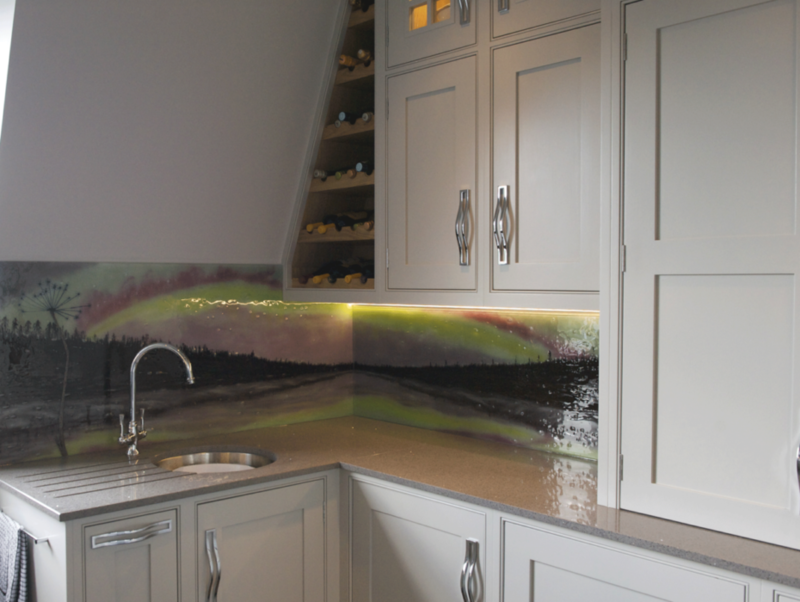 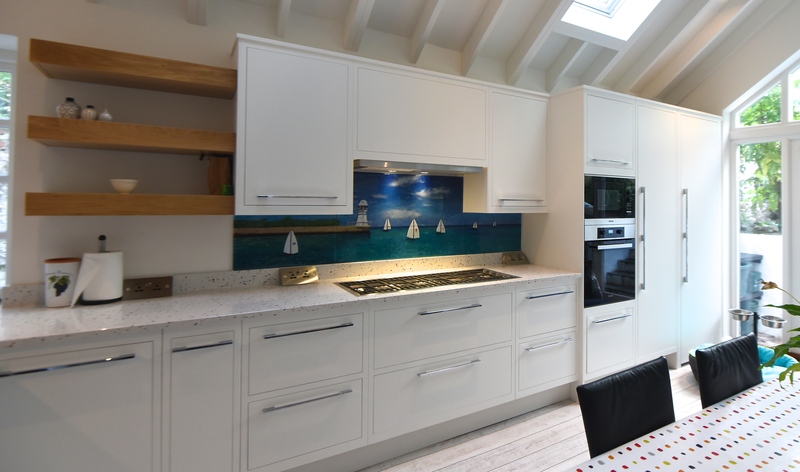 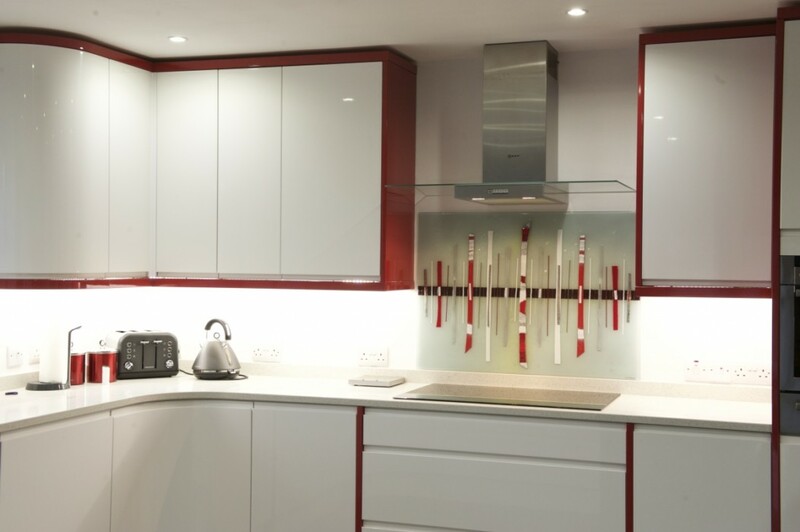 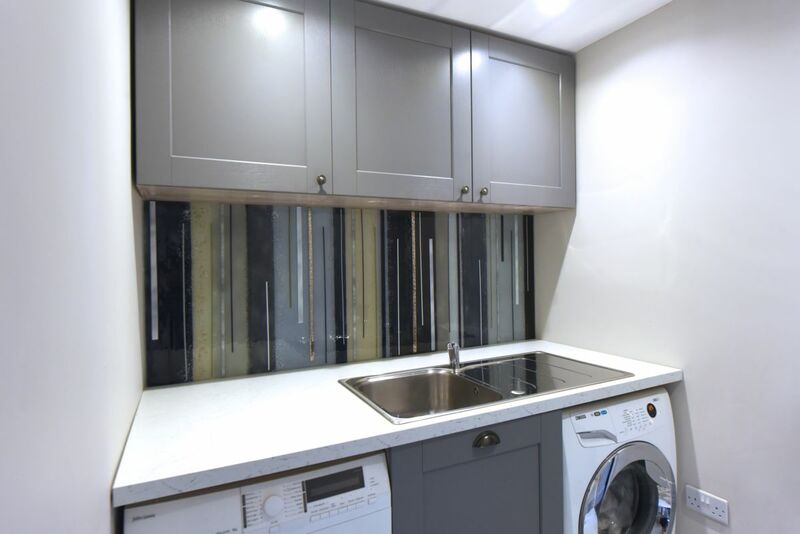 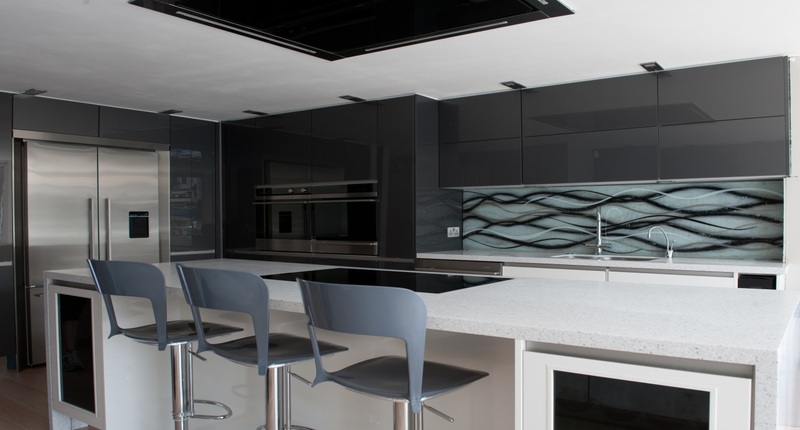 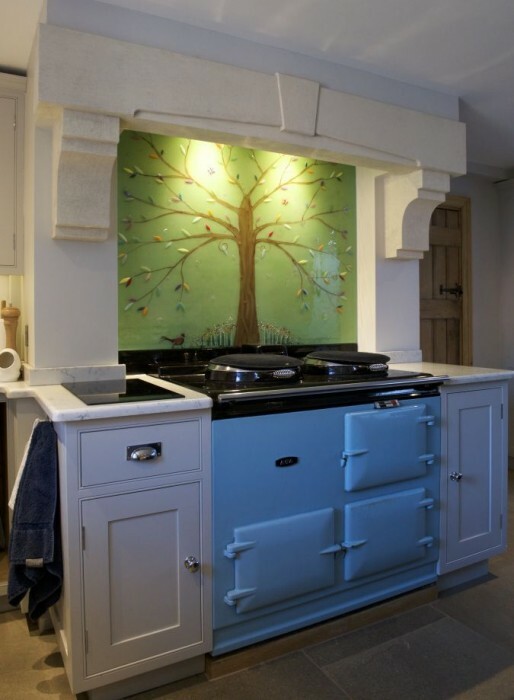 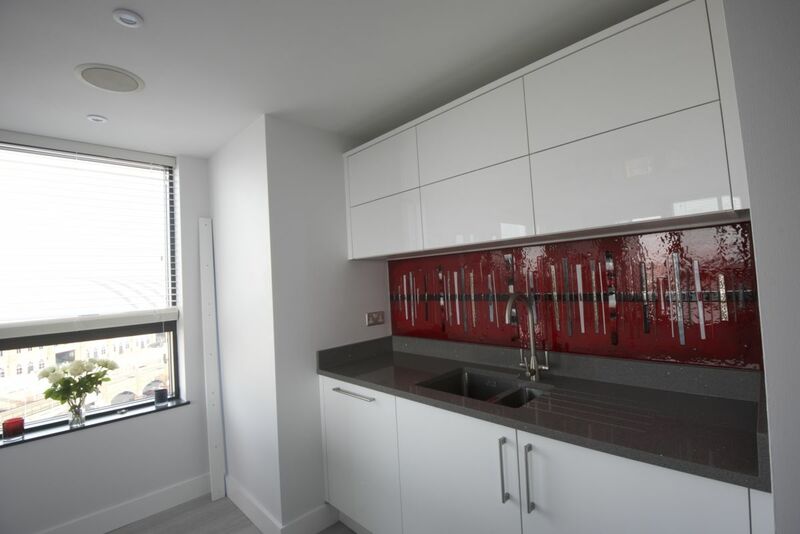 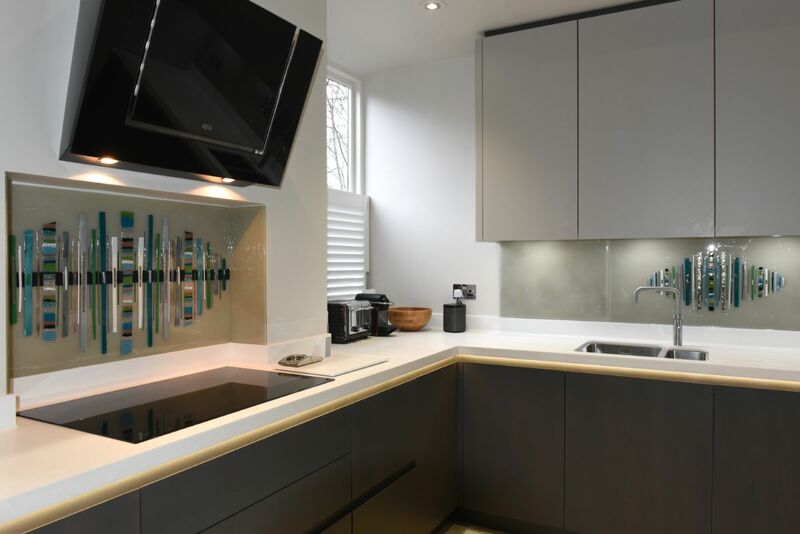 The splashback was created to perfectly match the neutral colour of the kitchen, so a little lighting to brighten everything up and direct focus is just what was needed to take everything to that next level. 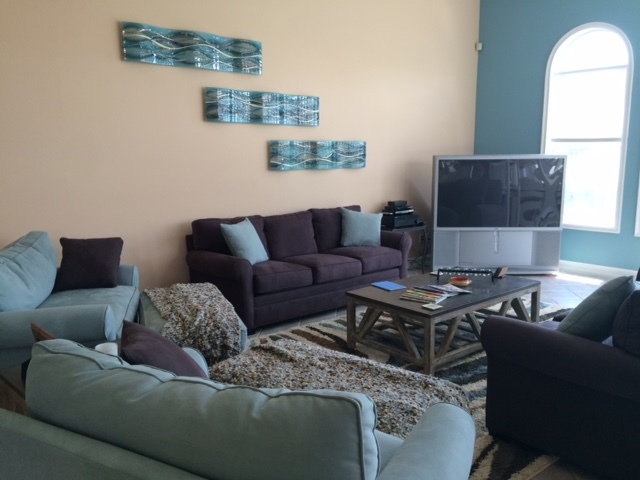 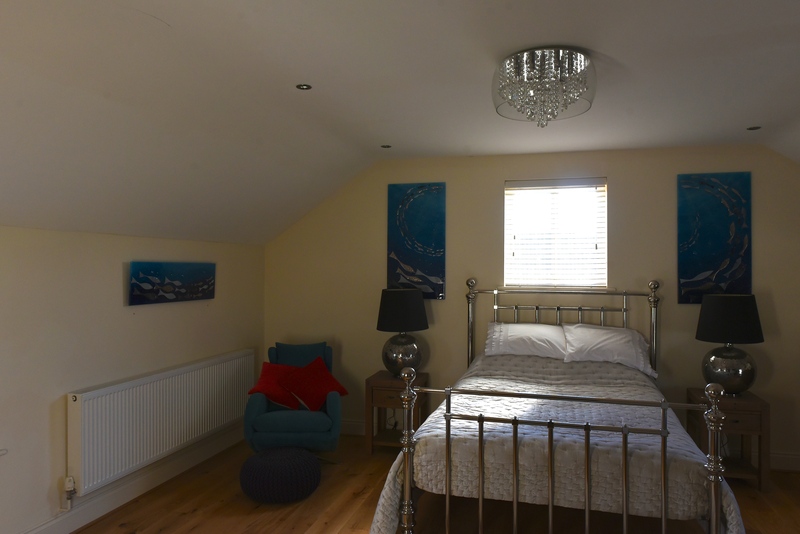 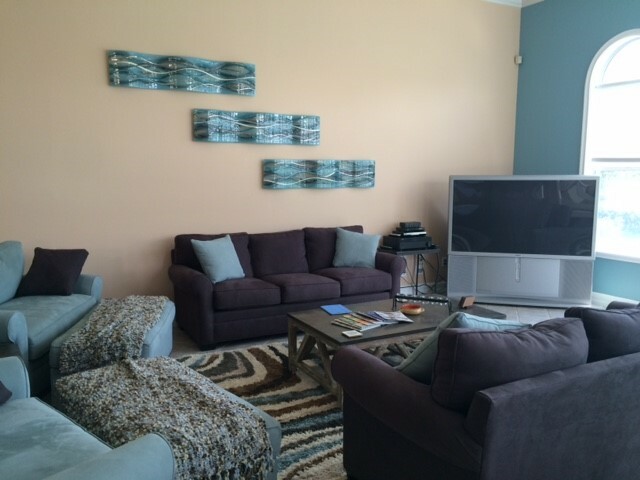 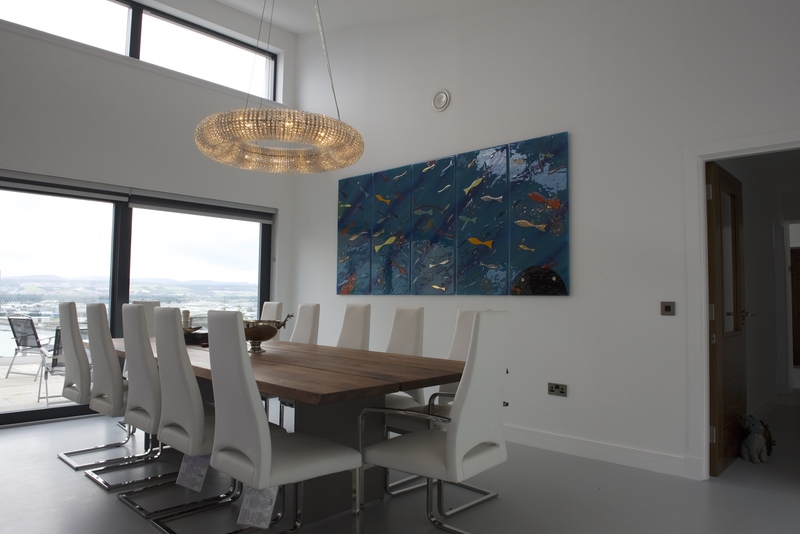 You only need to look at the image above to see how incredible the room looked after all work was concluded! 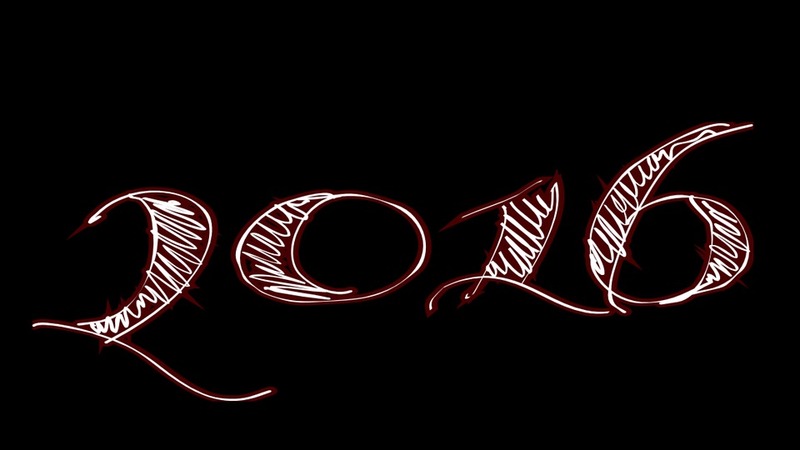 So what about it? 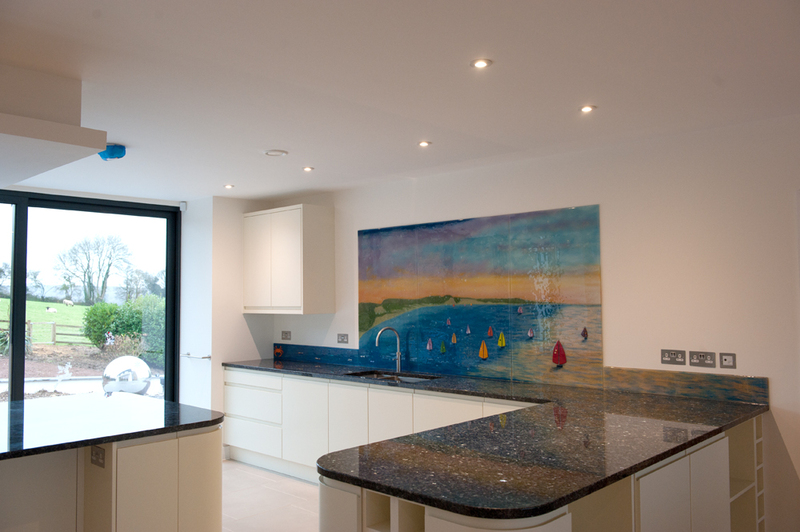 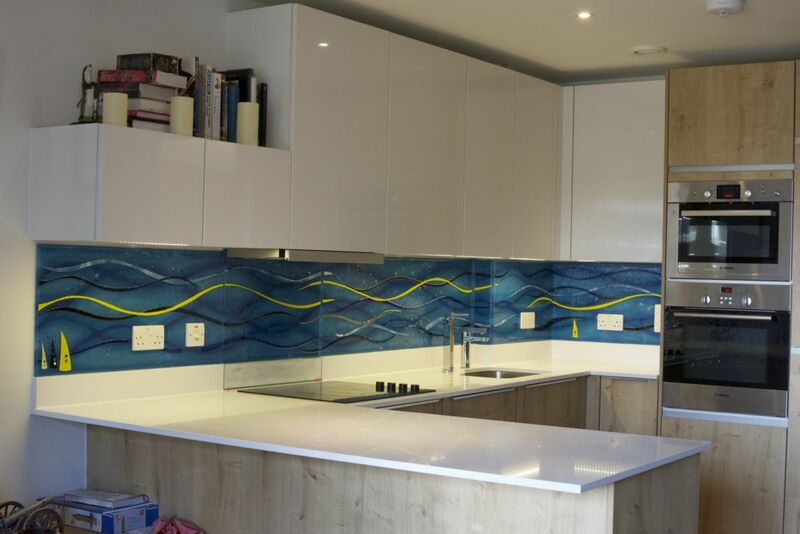 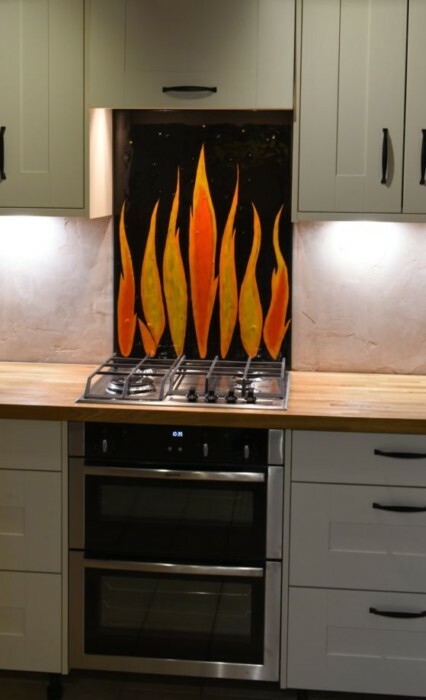 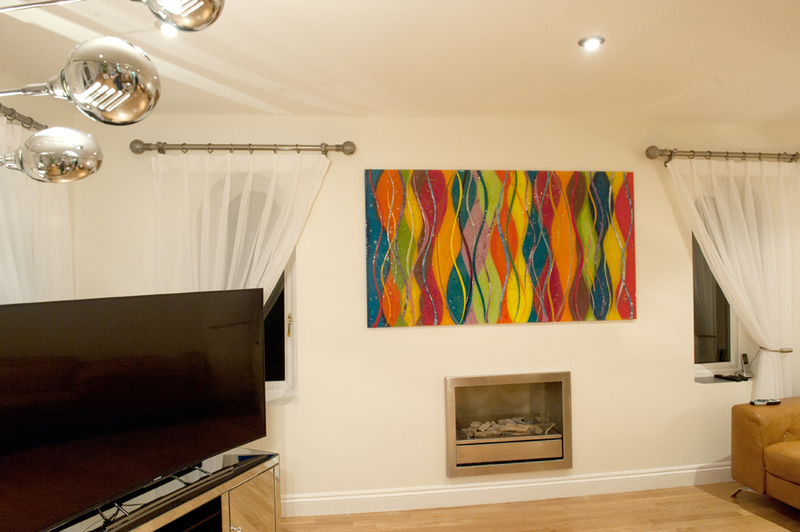 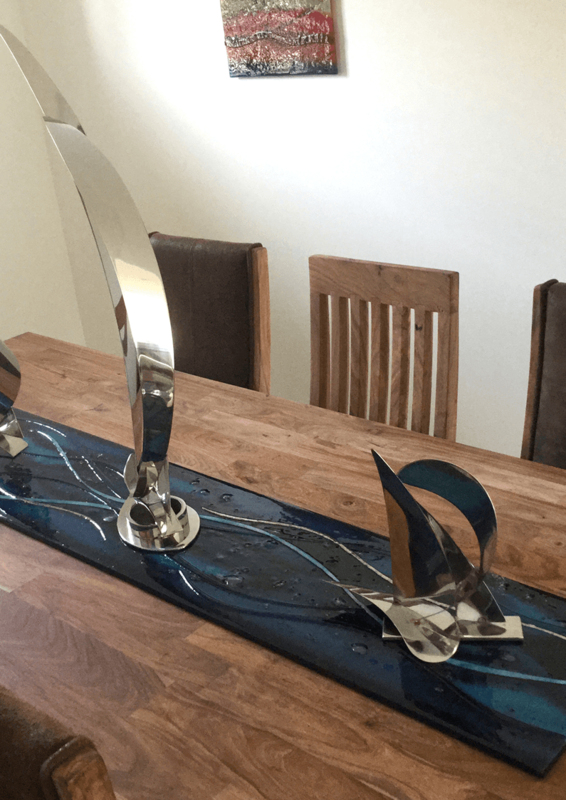 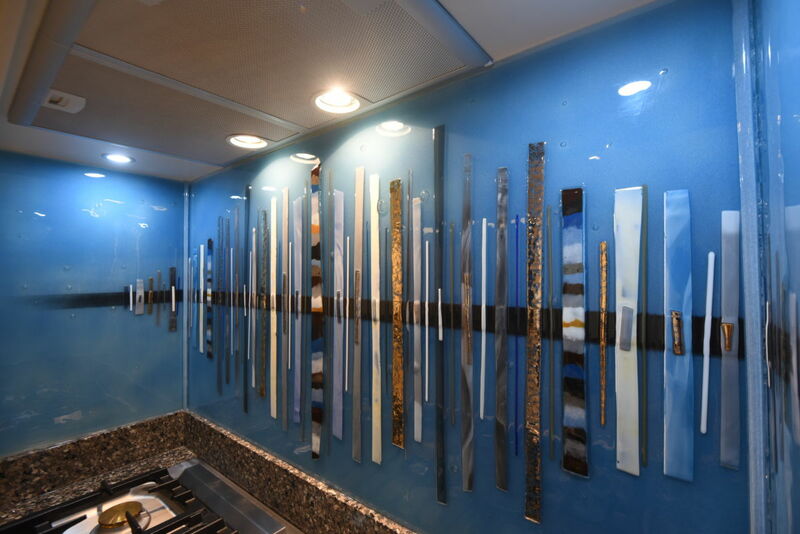 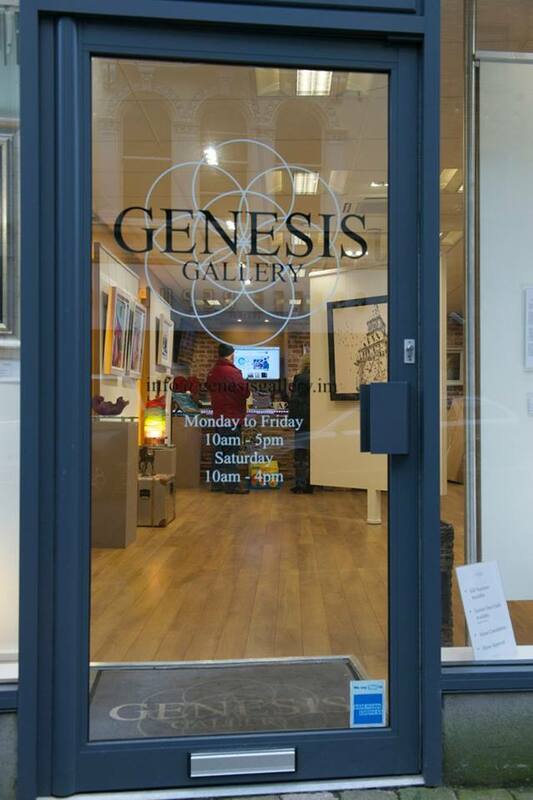 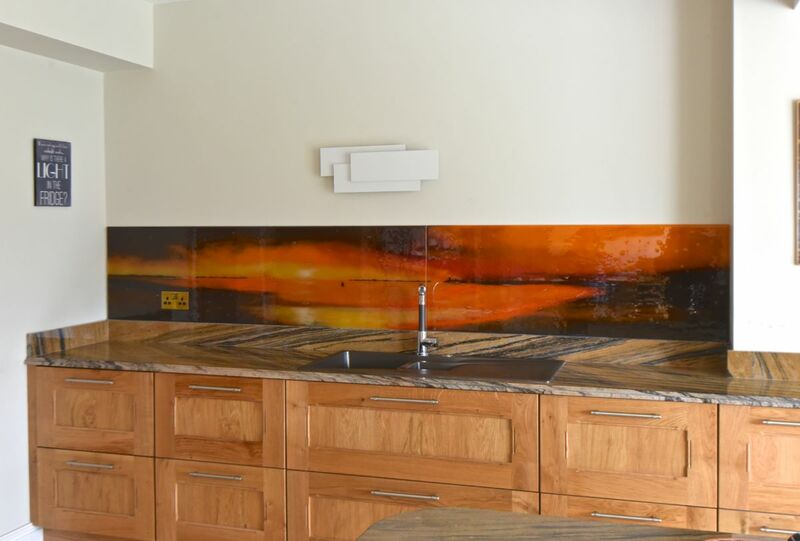 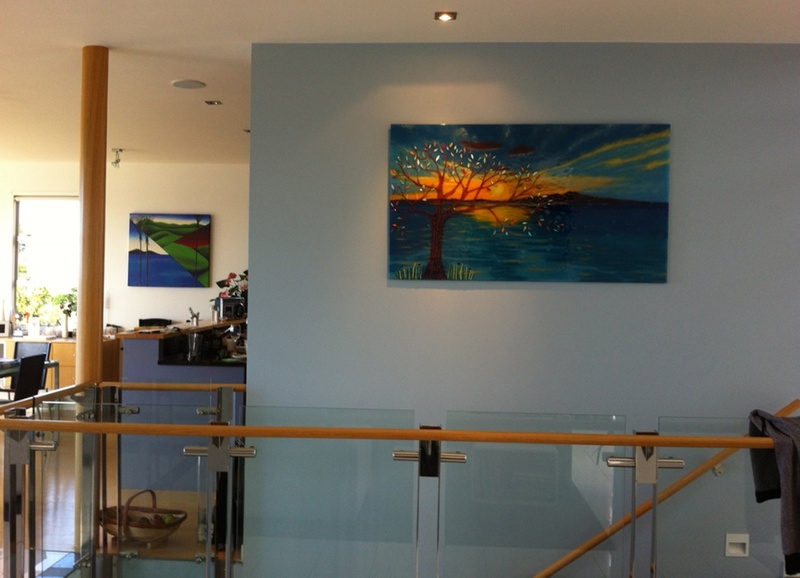 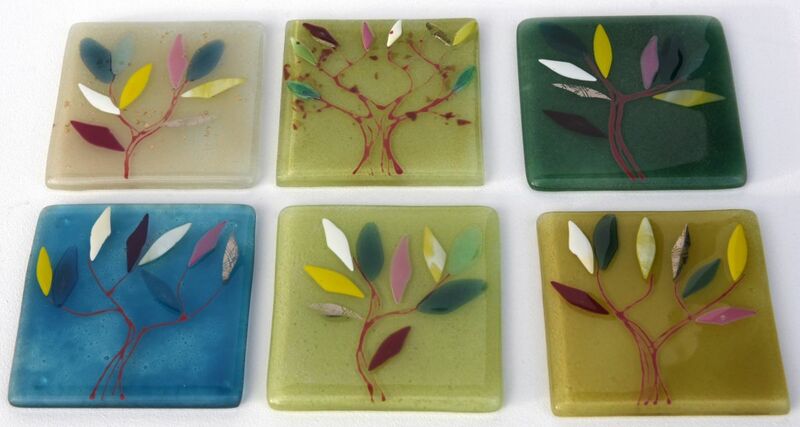 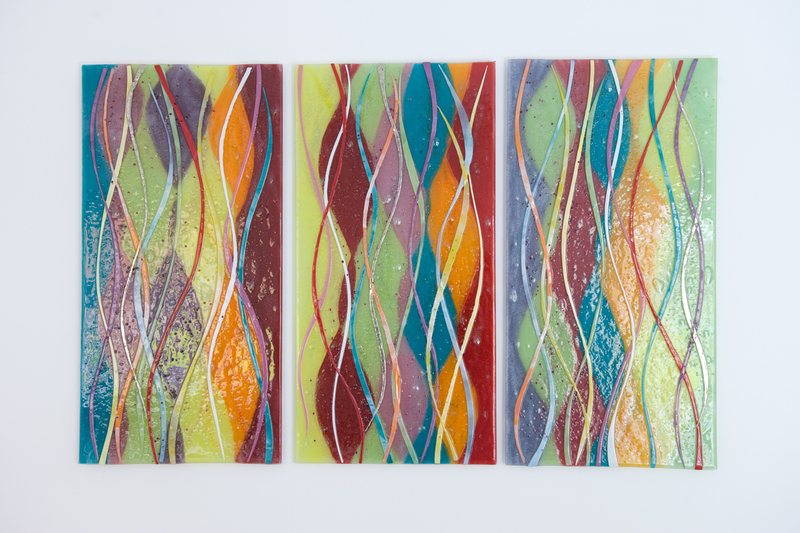 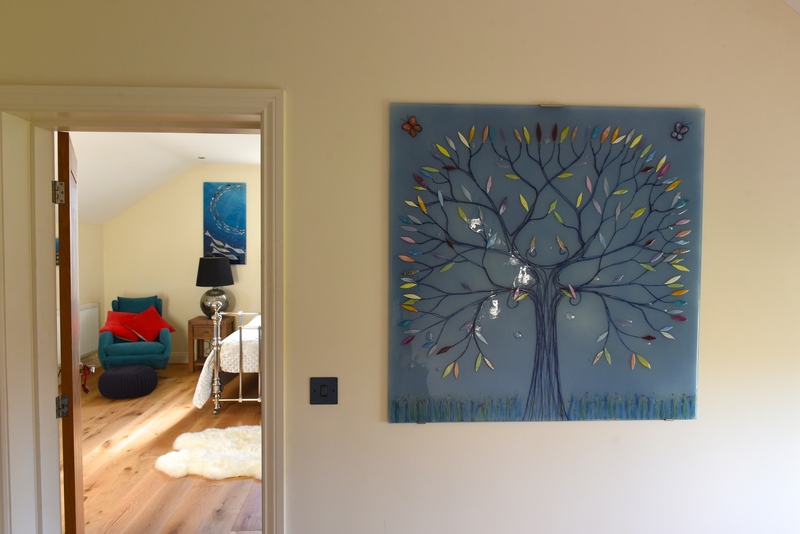 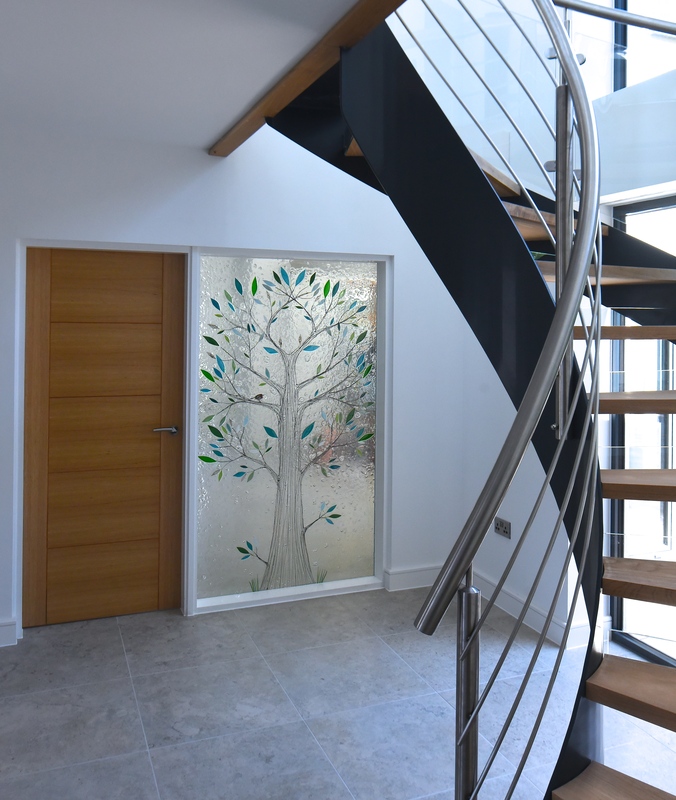 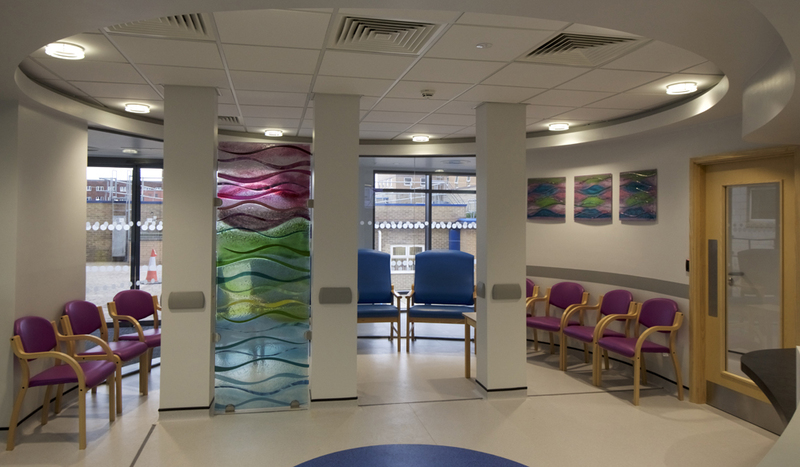 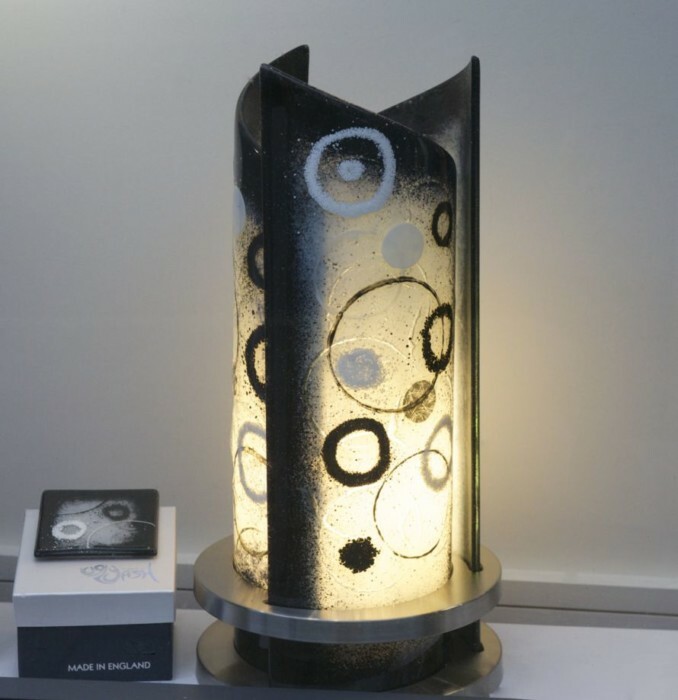 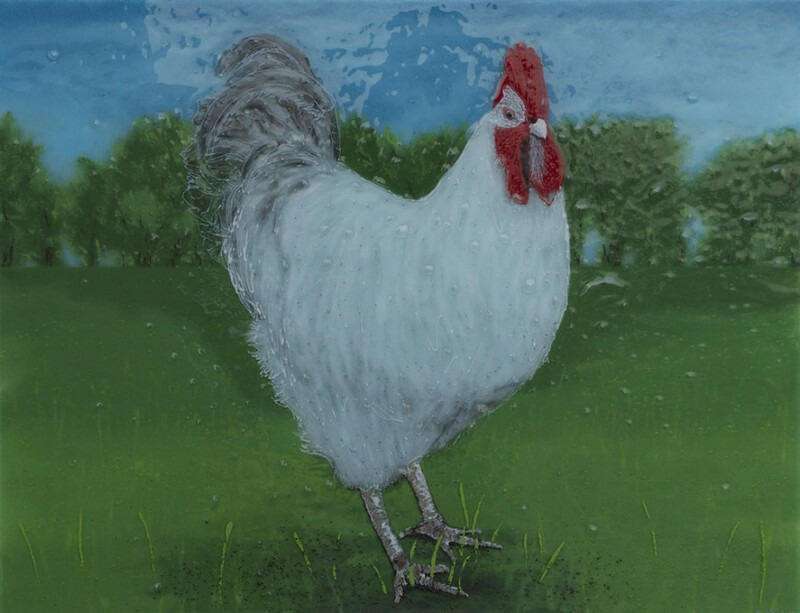 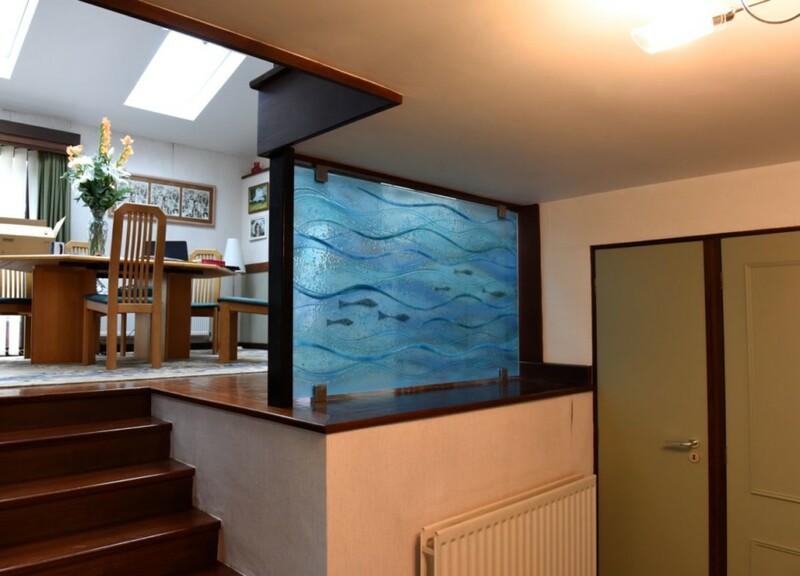 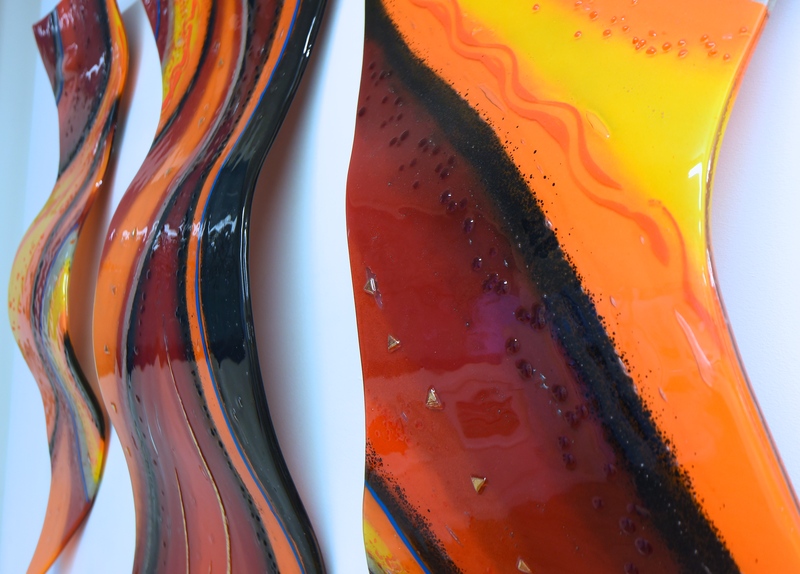 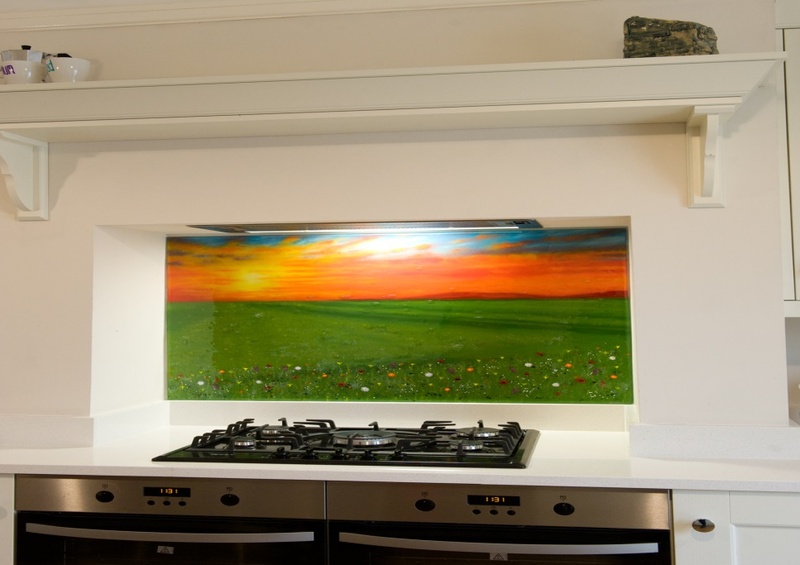 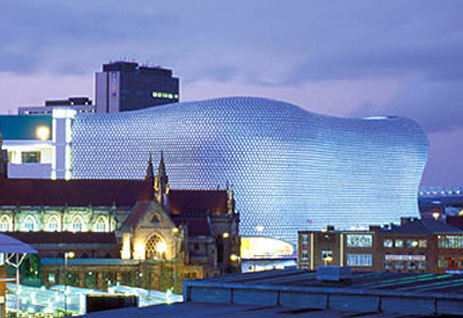 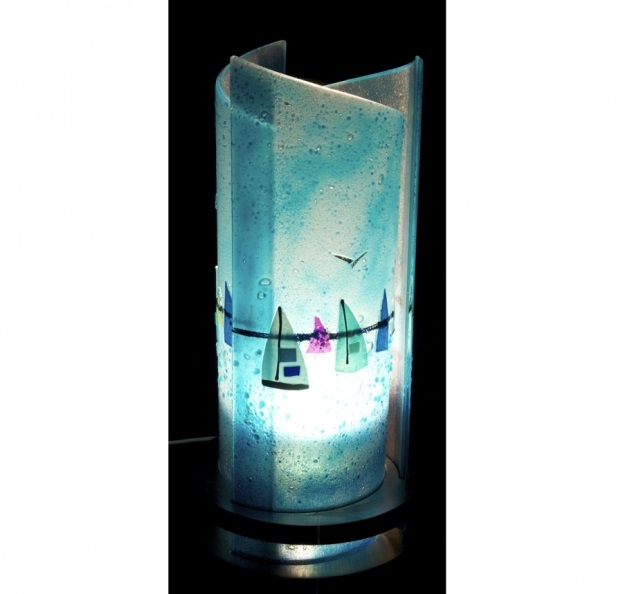 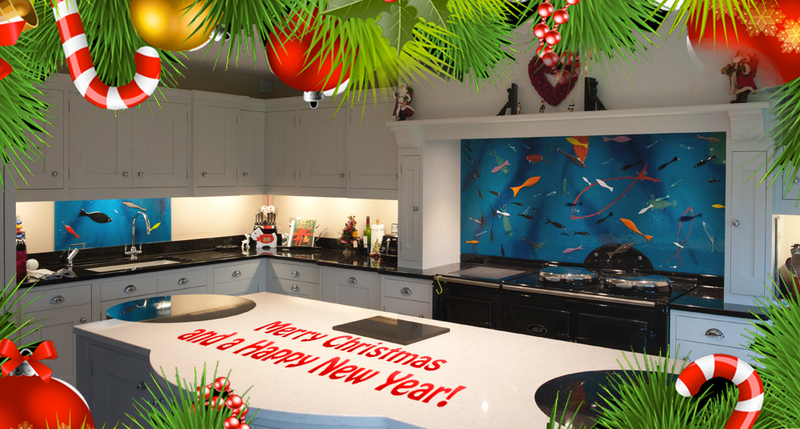 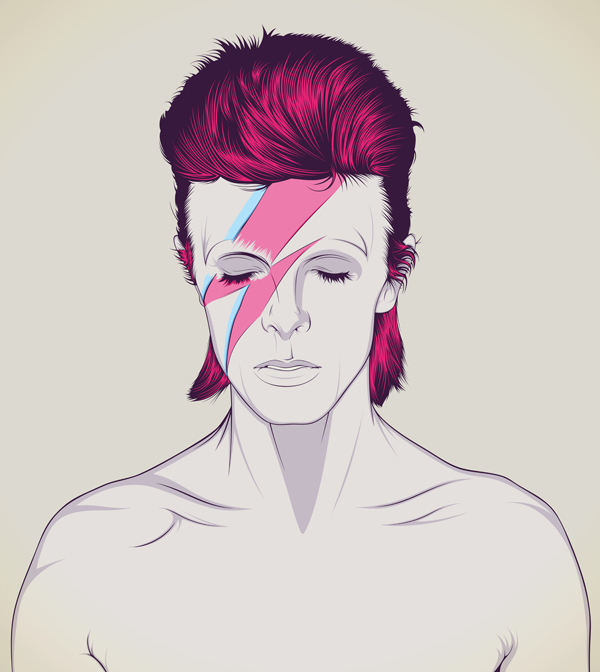 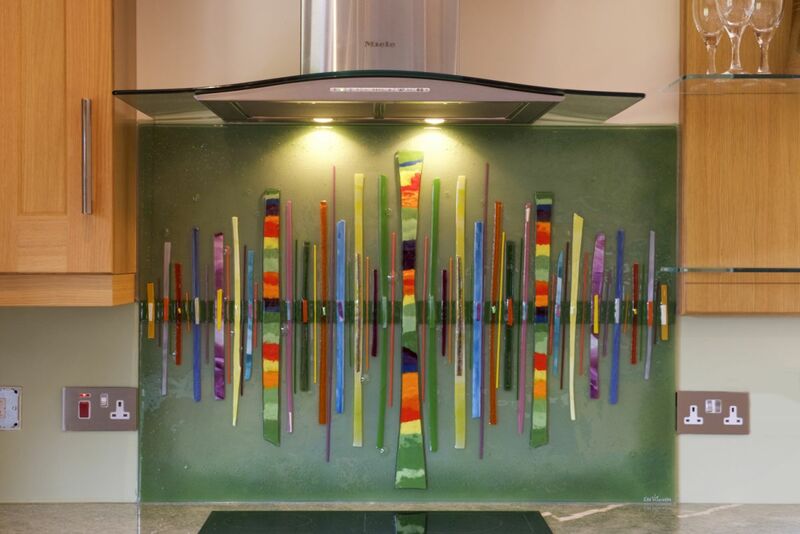 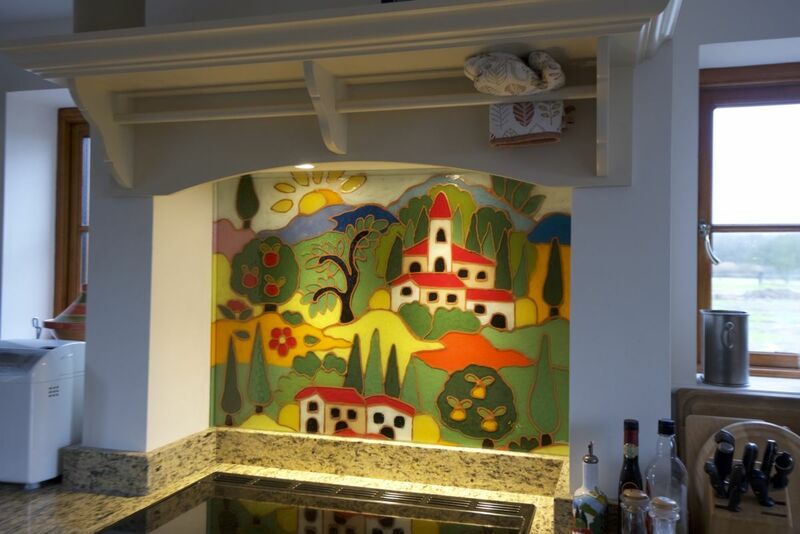 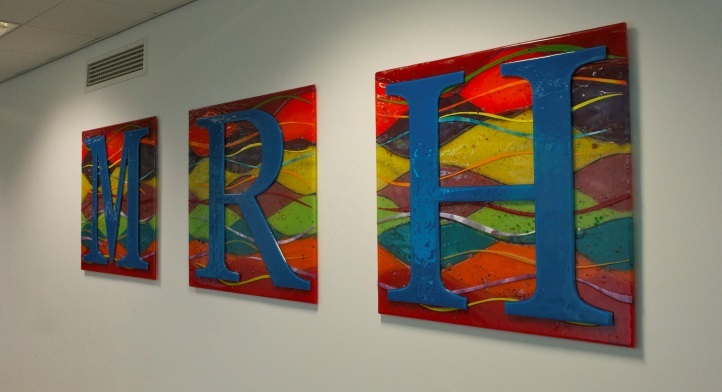 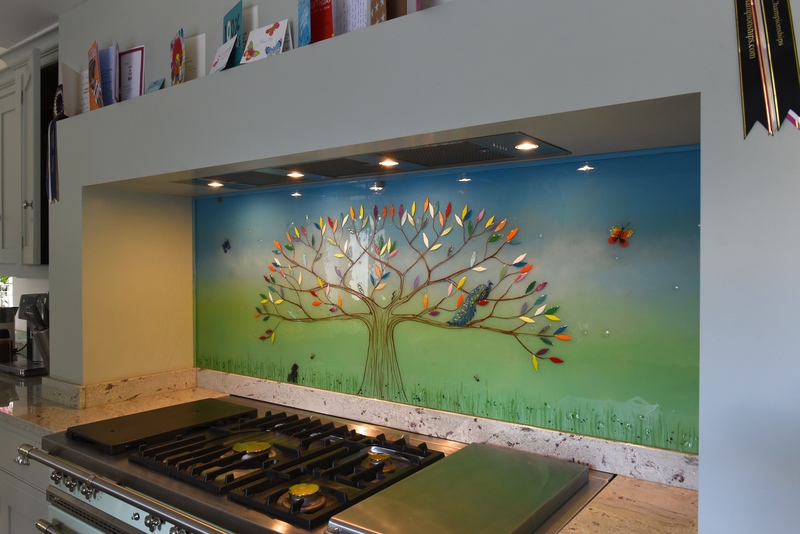 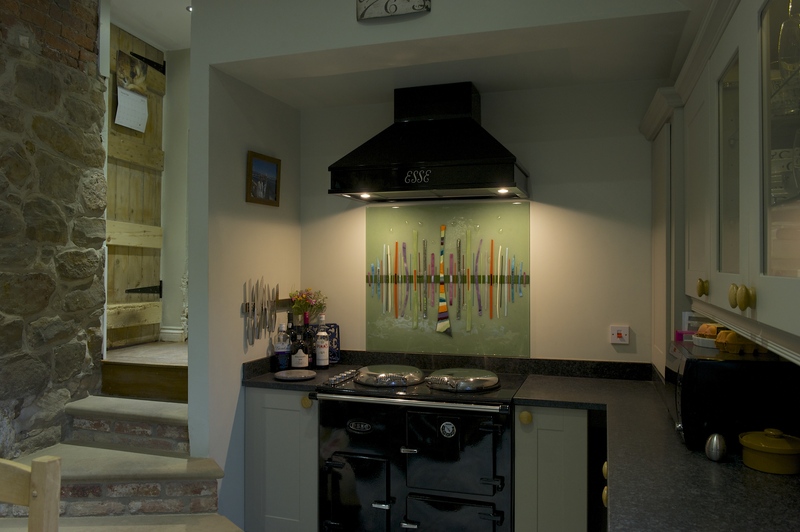 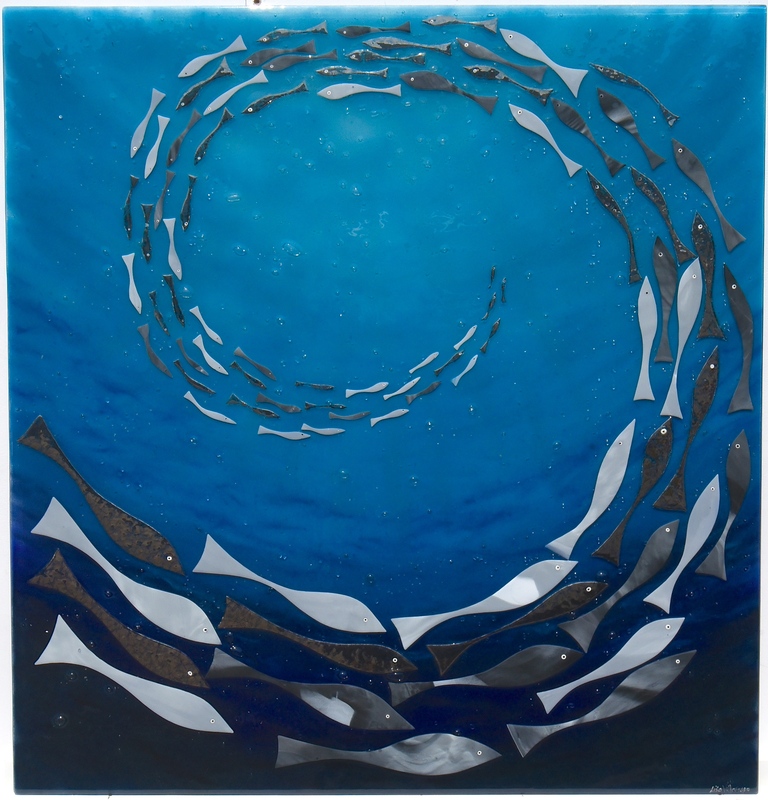 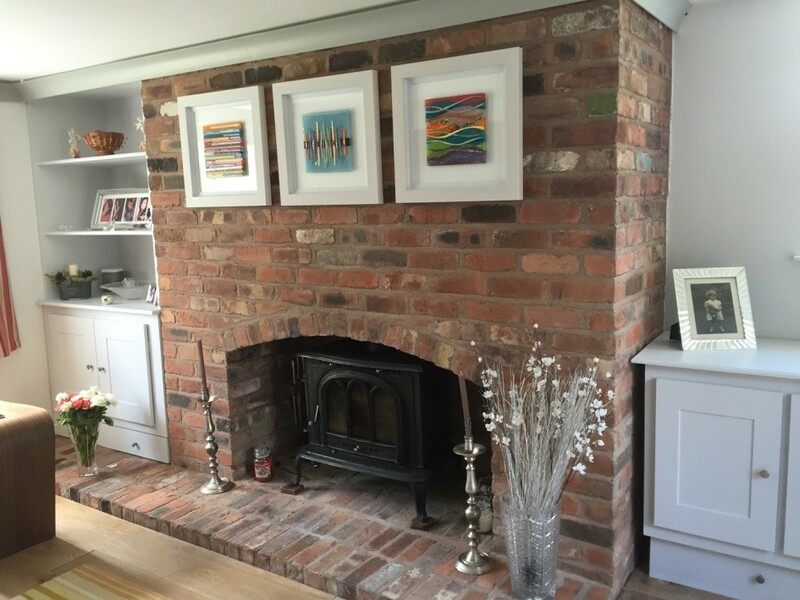 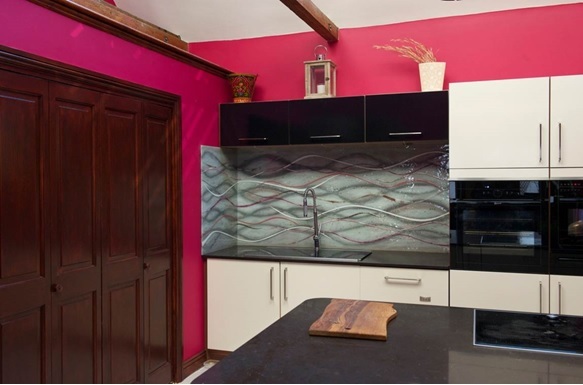 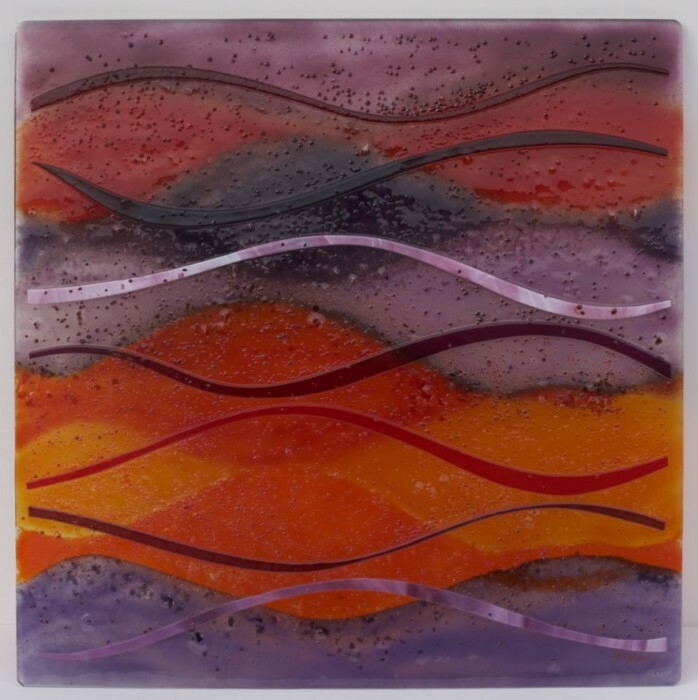 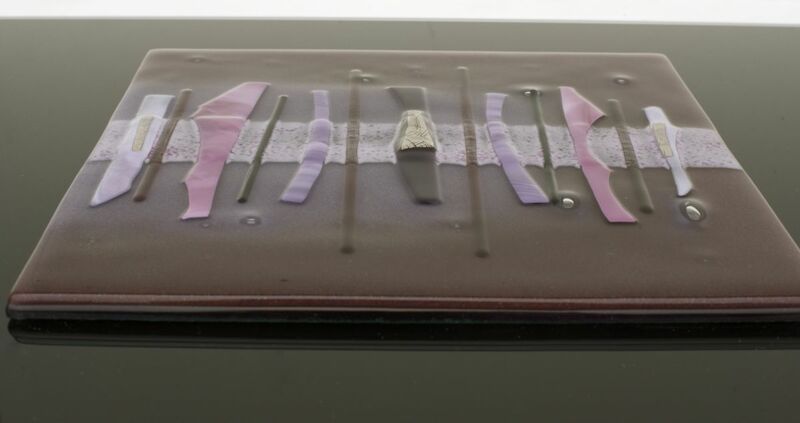 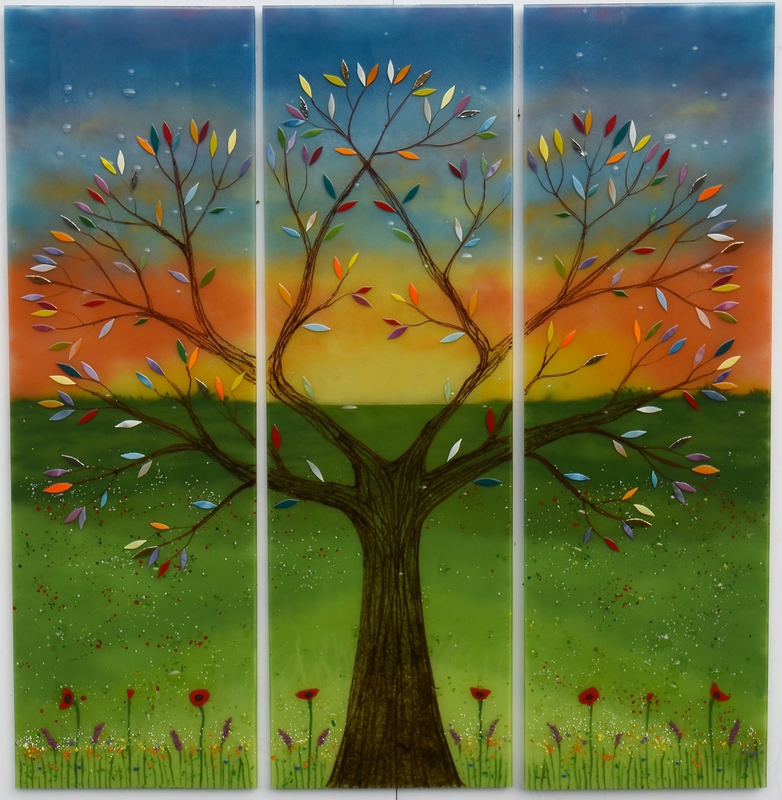 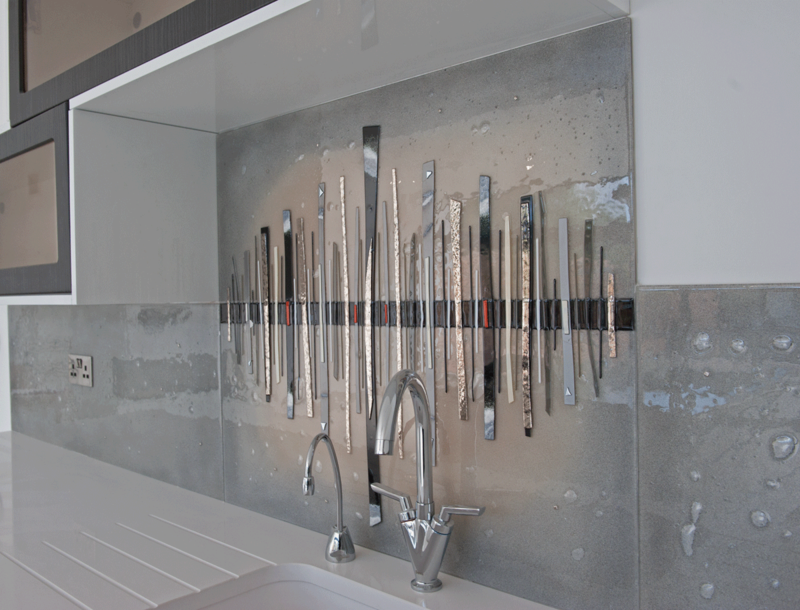 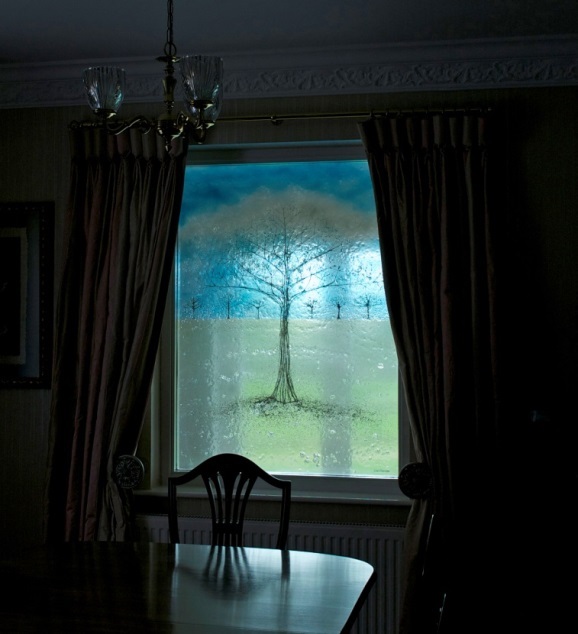 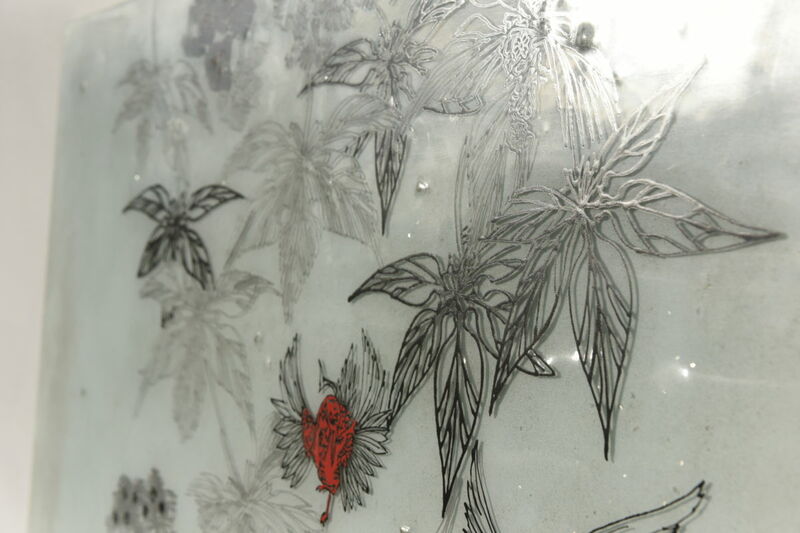 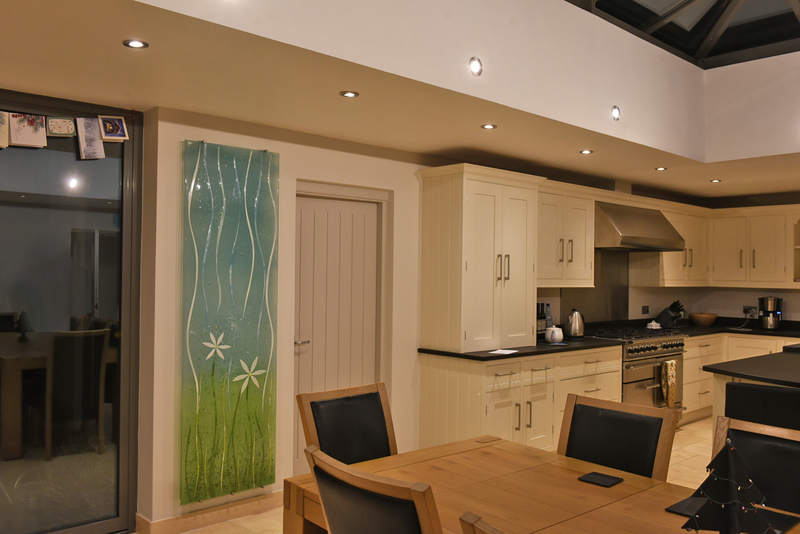 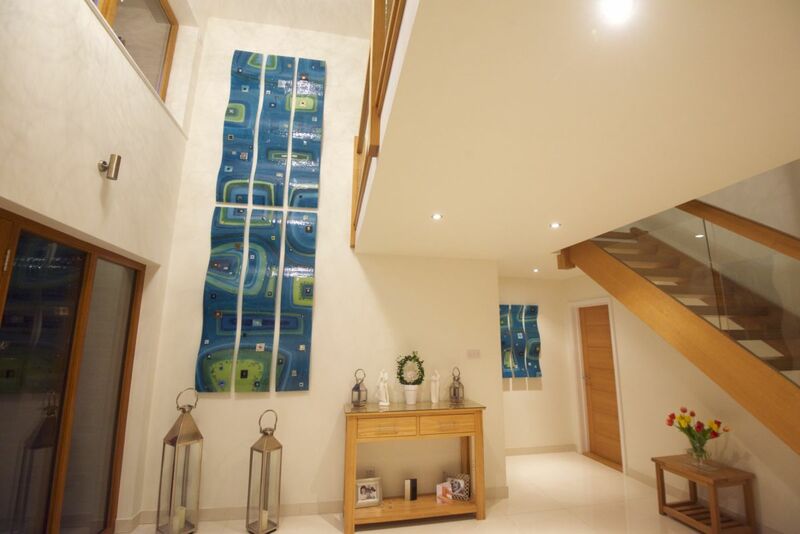 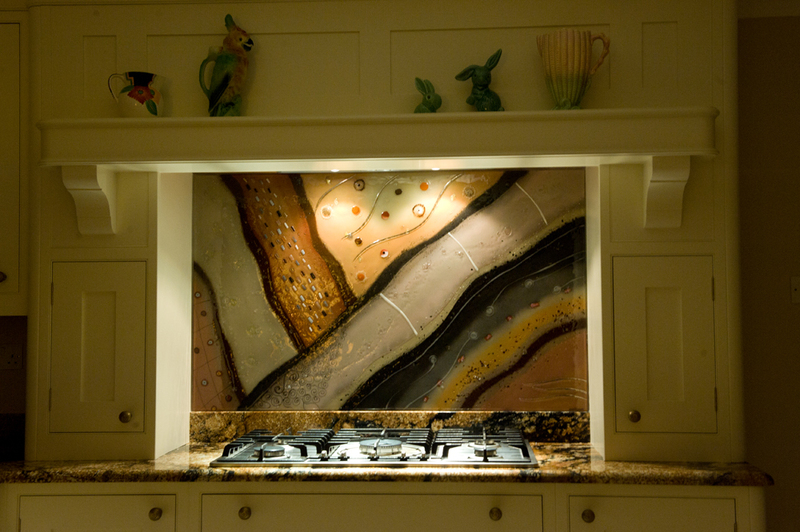 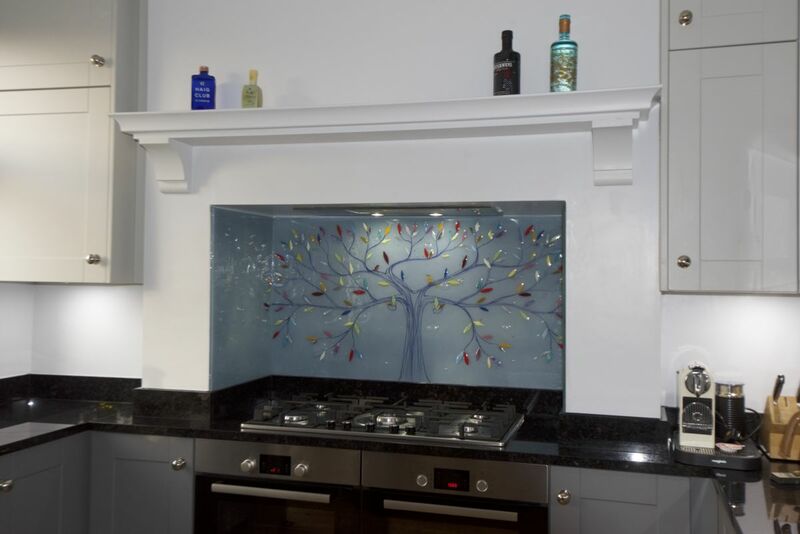 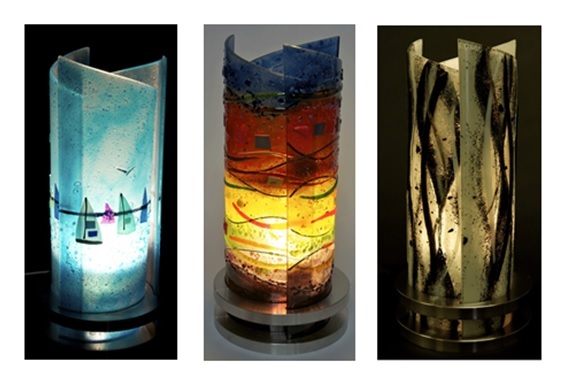 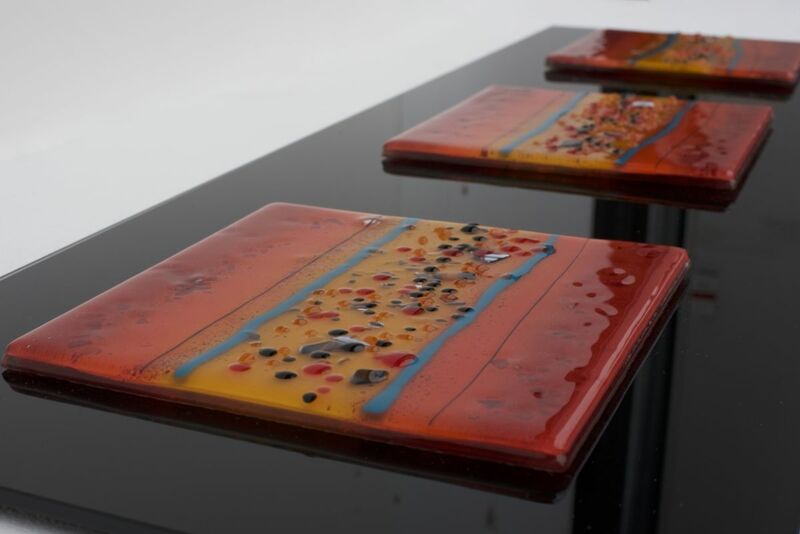 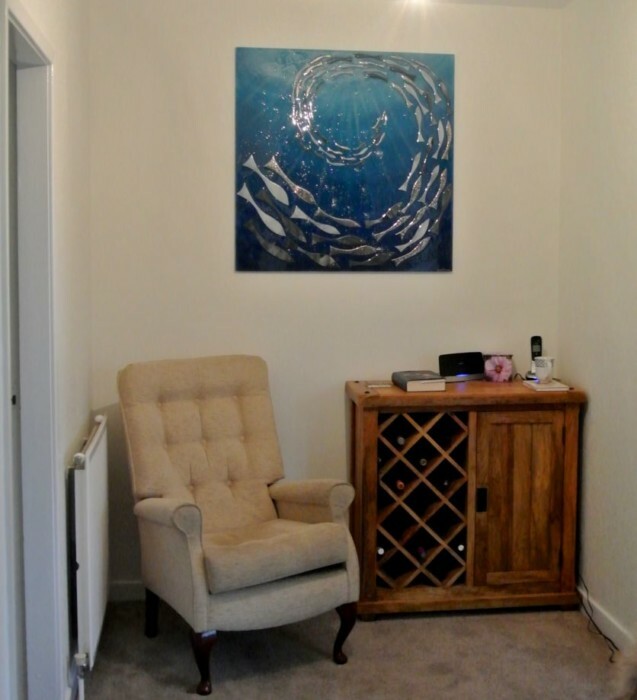 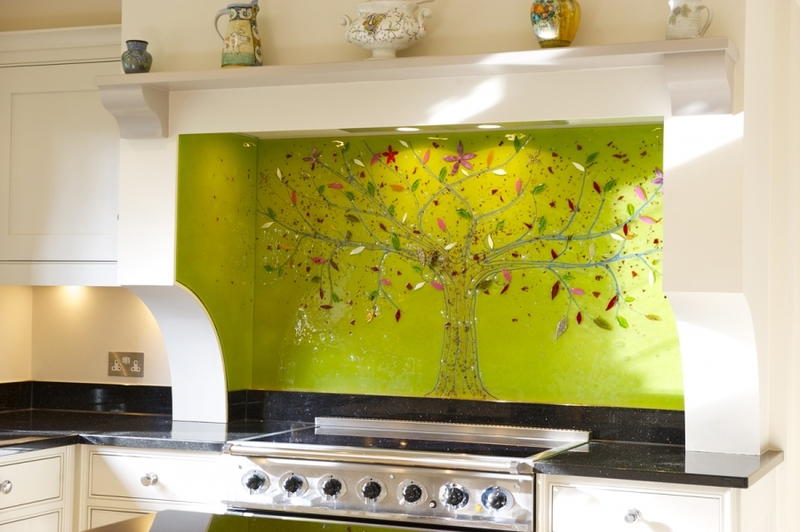 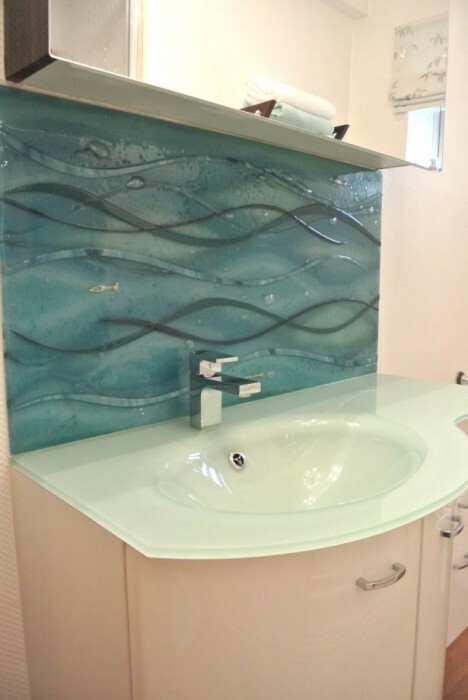 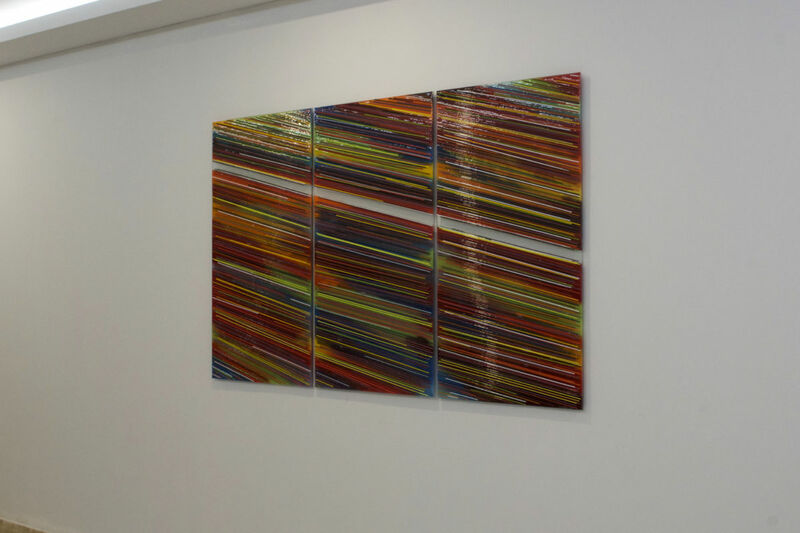 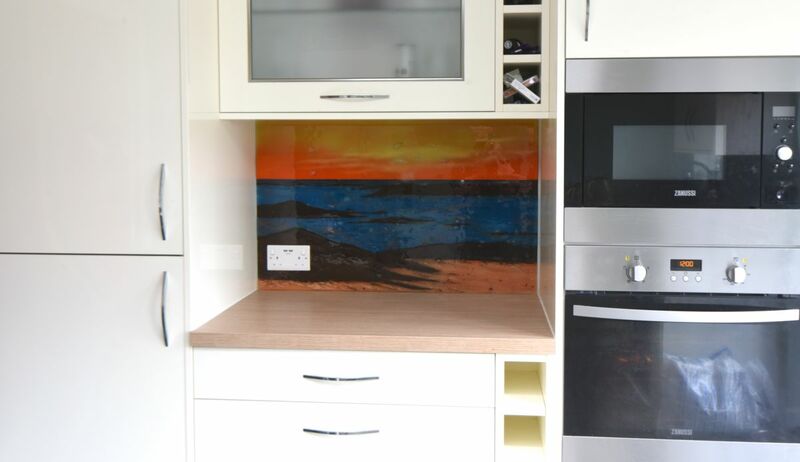 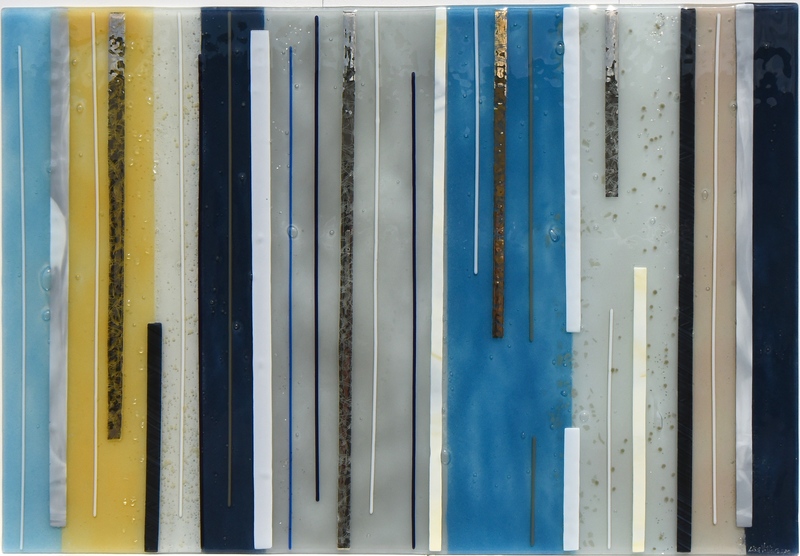 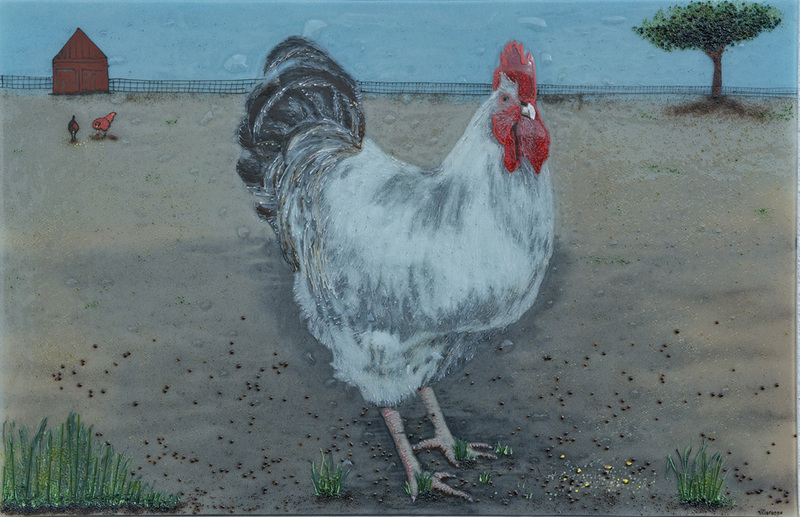 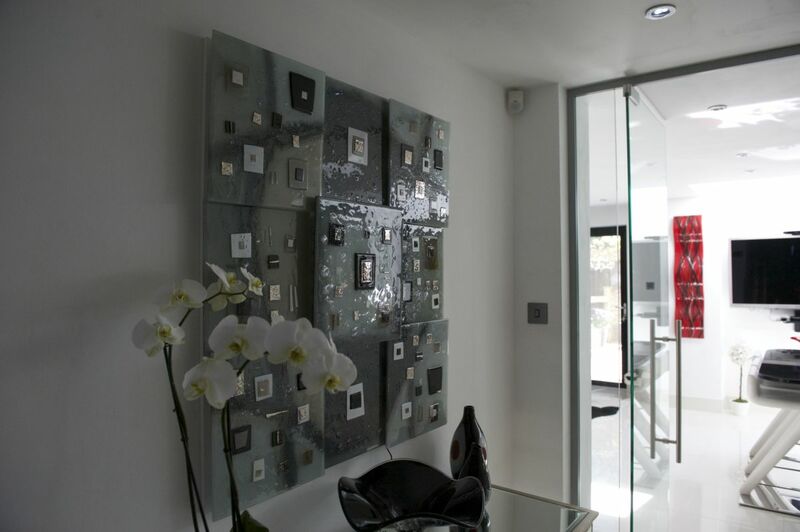 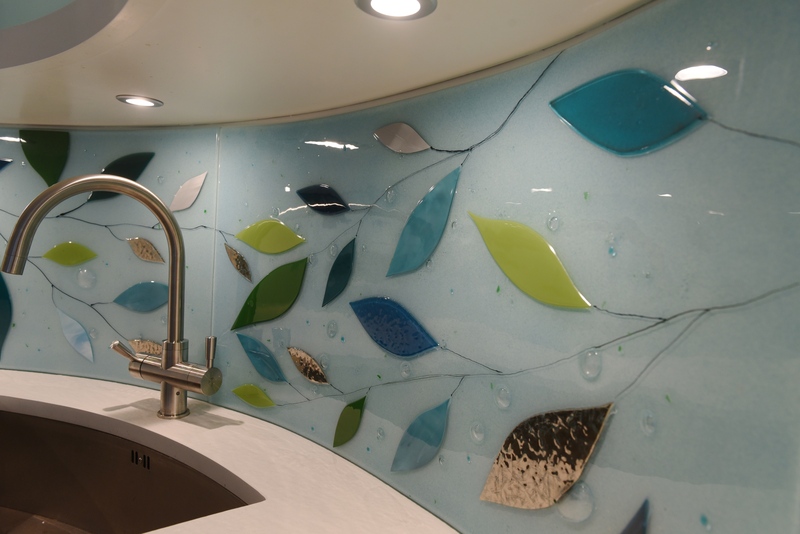 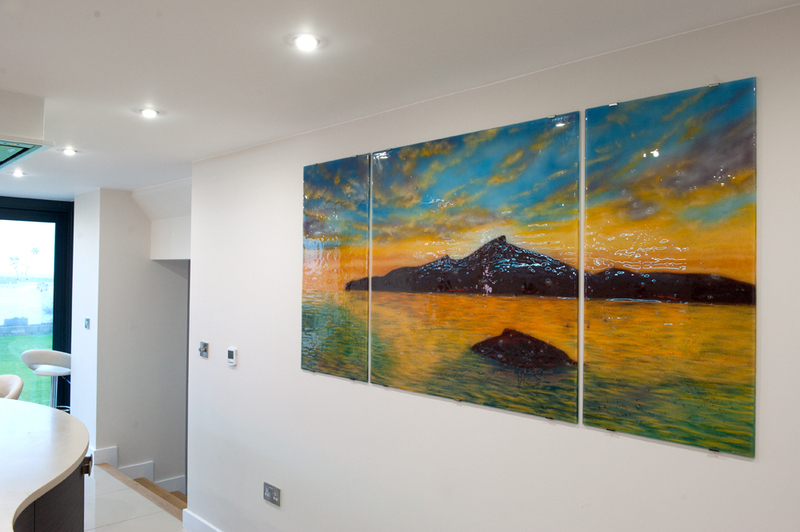 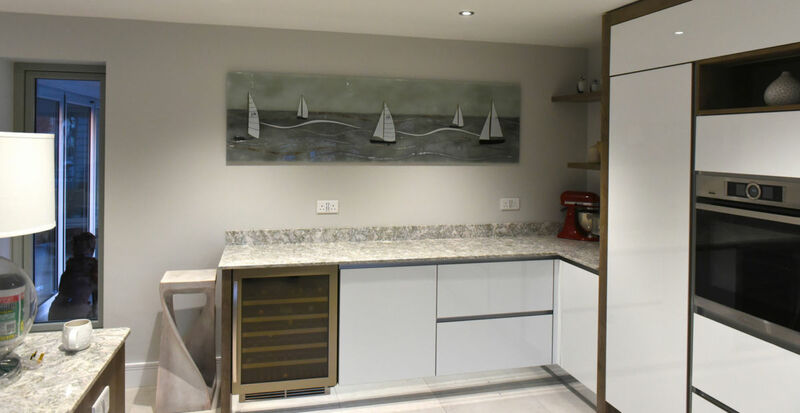 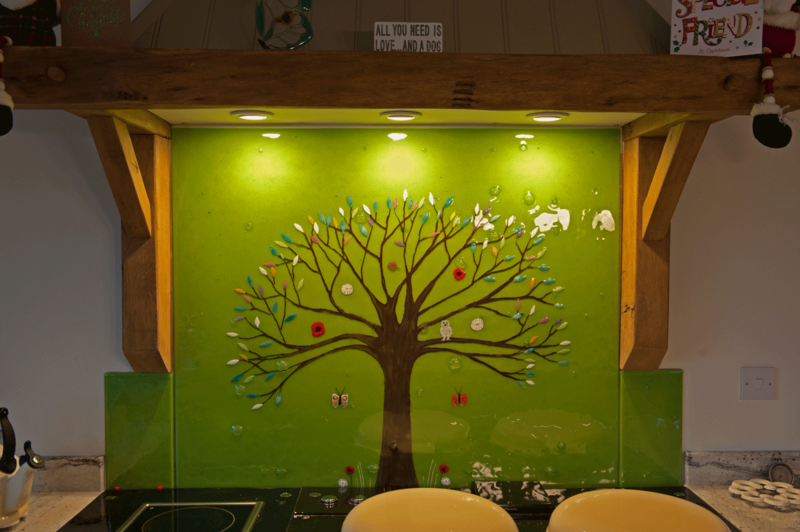 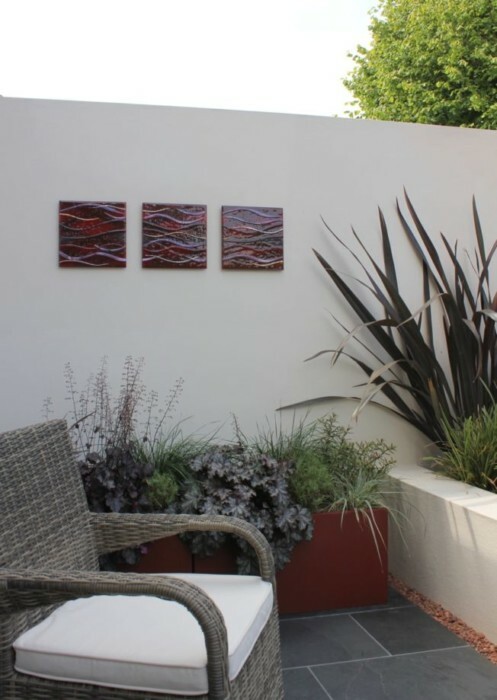 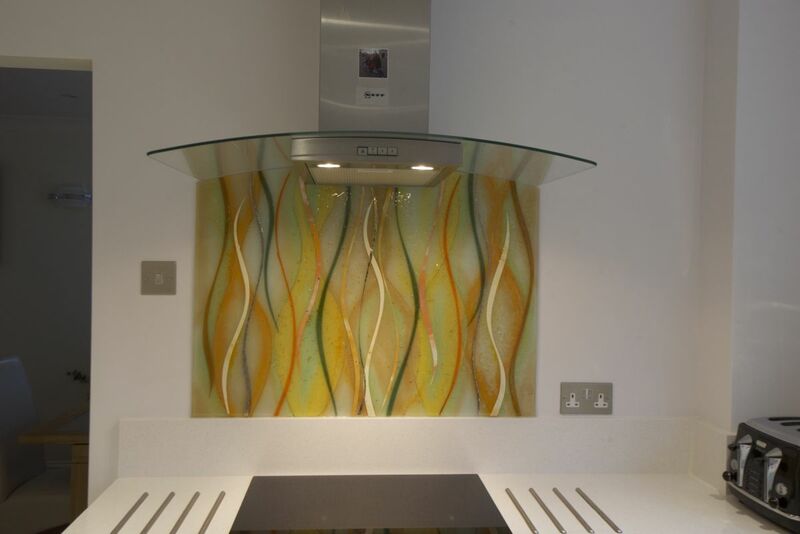 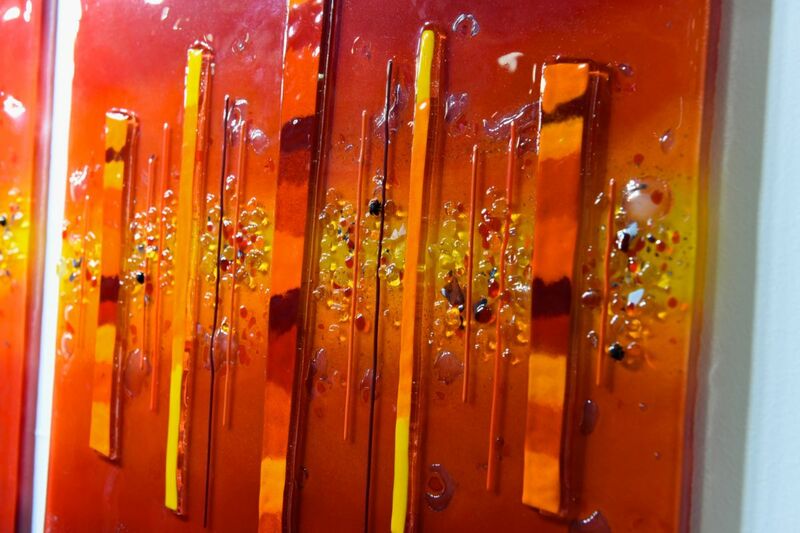 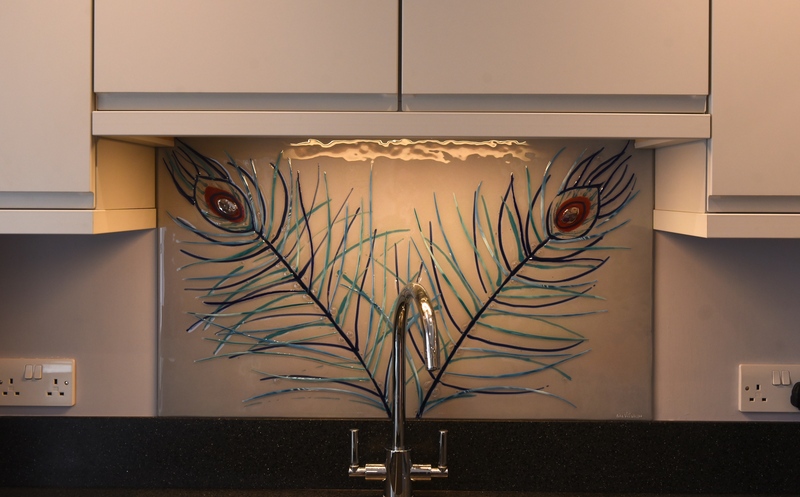 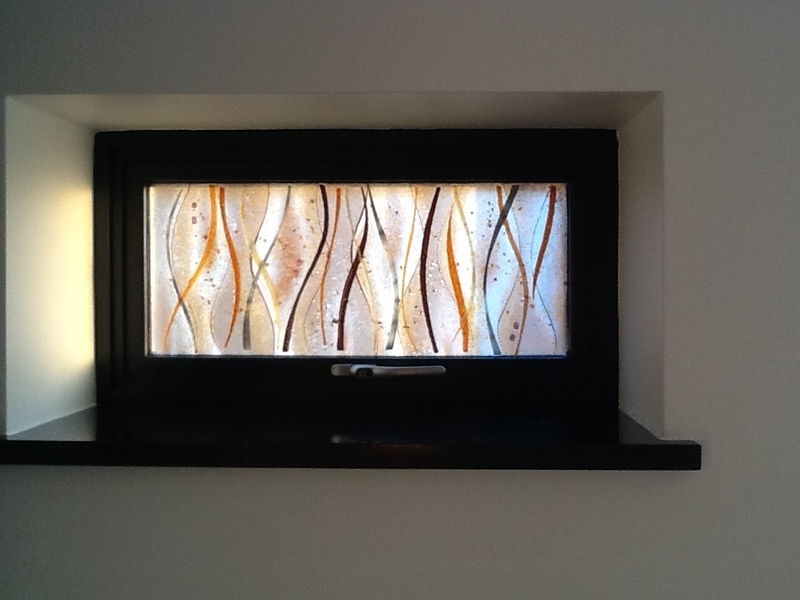 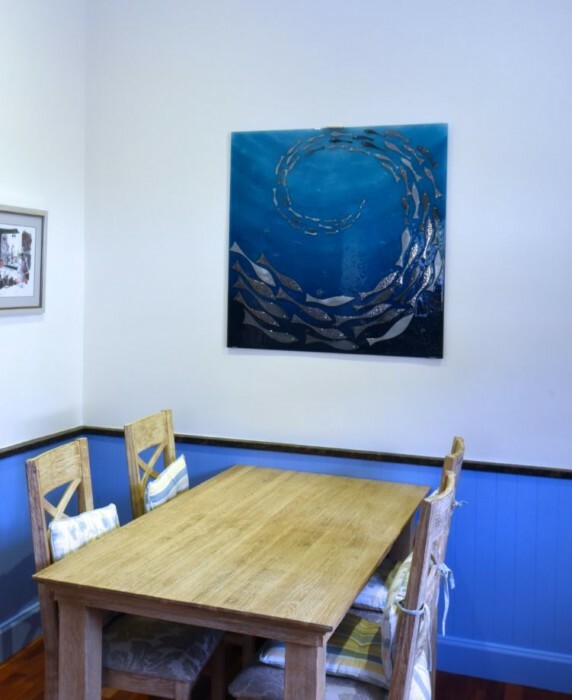 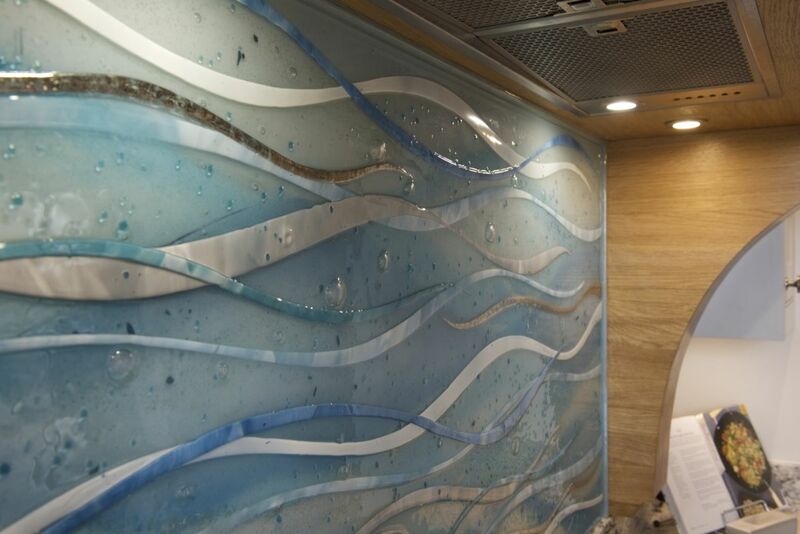 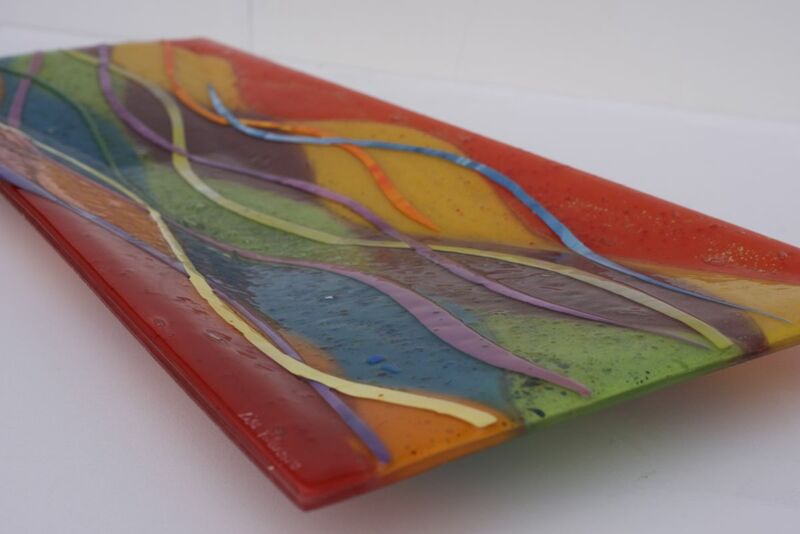 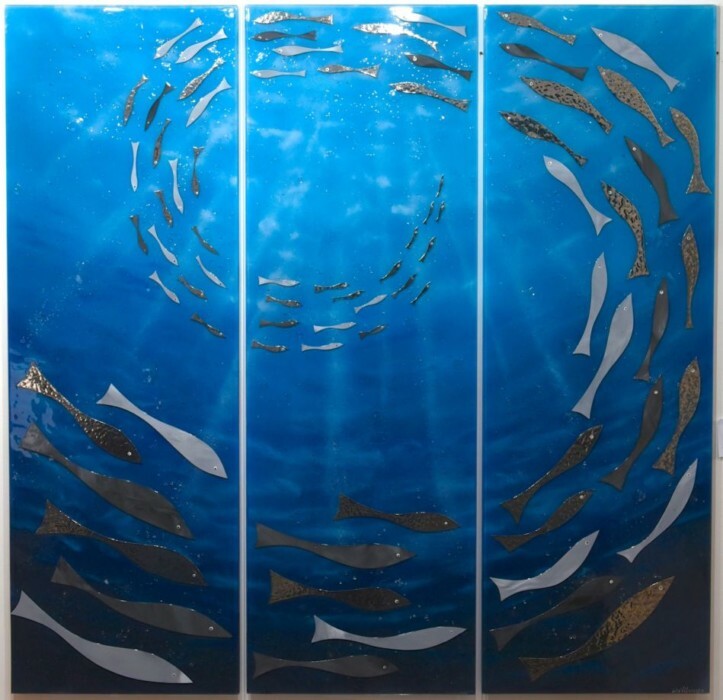 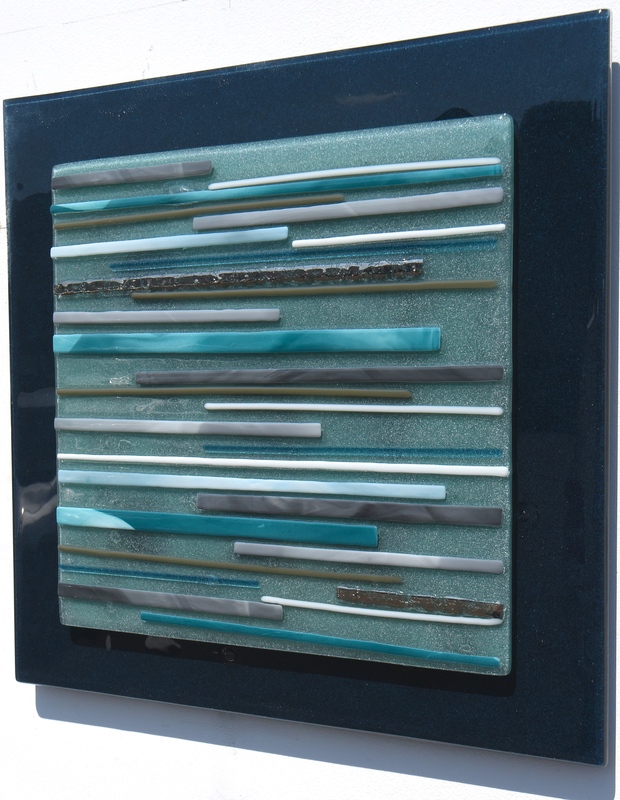 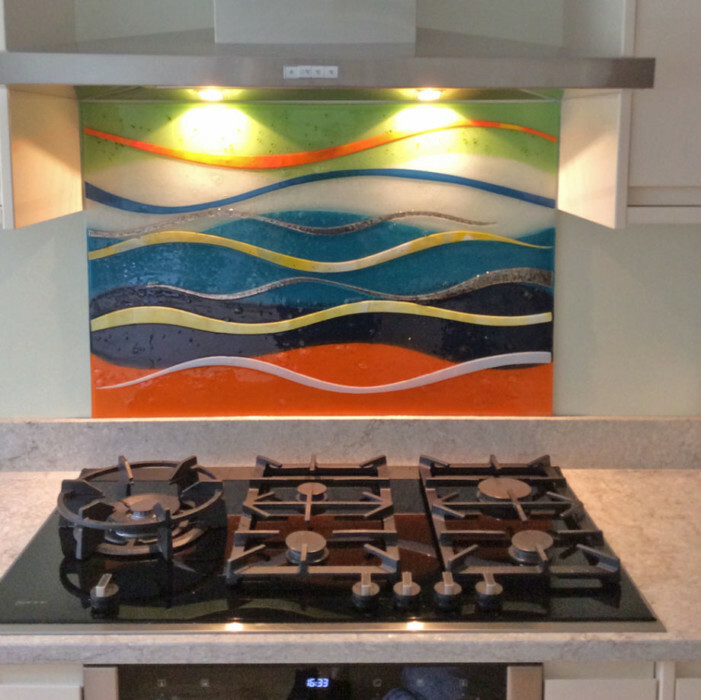 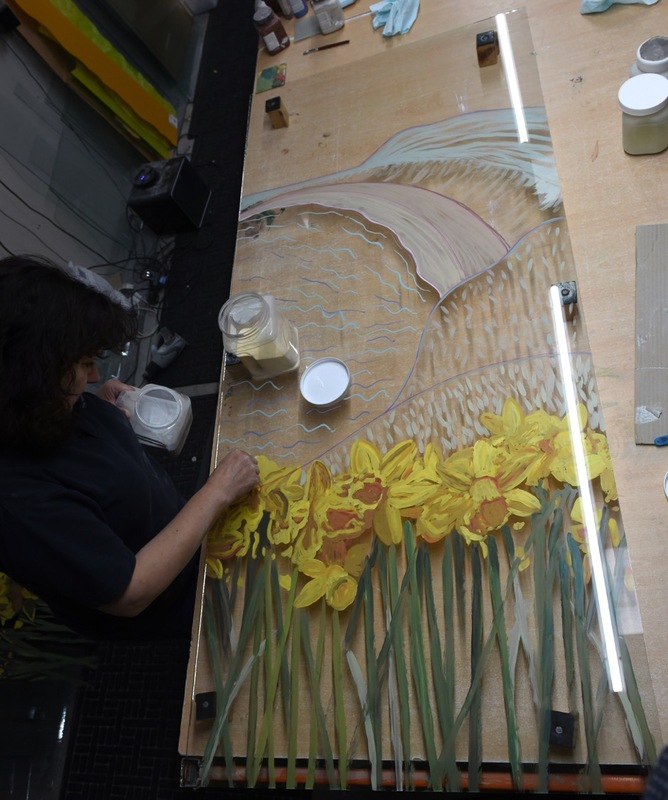 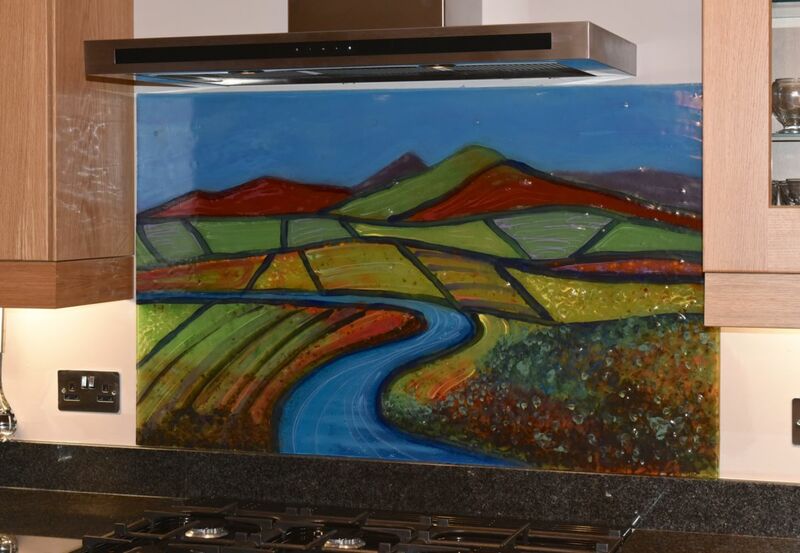 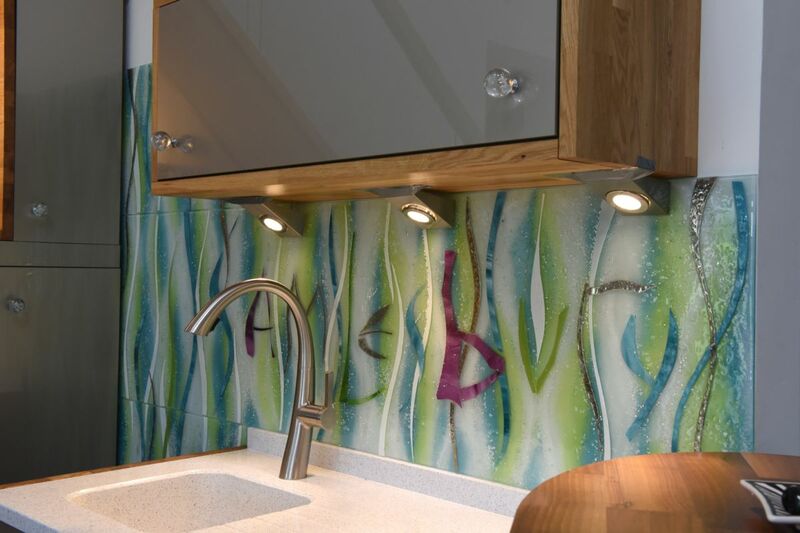 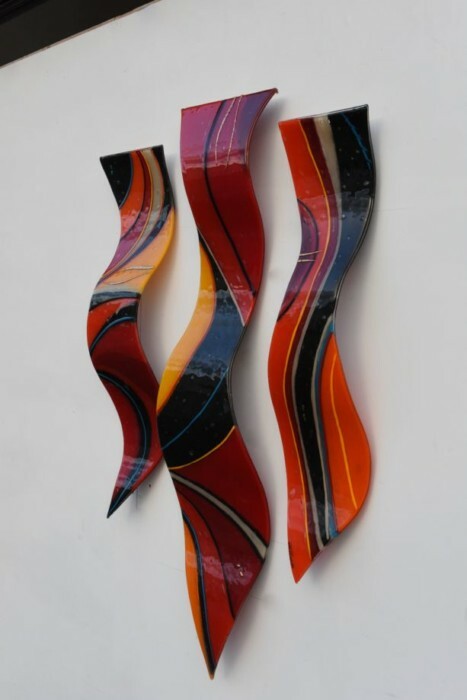 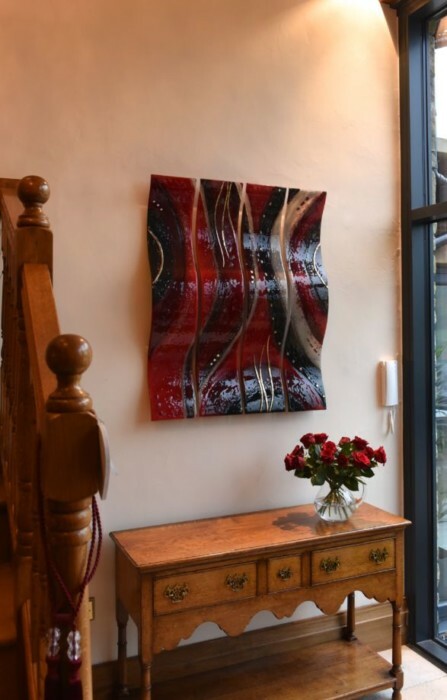 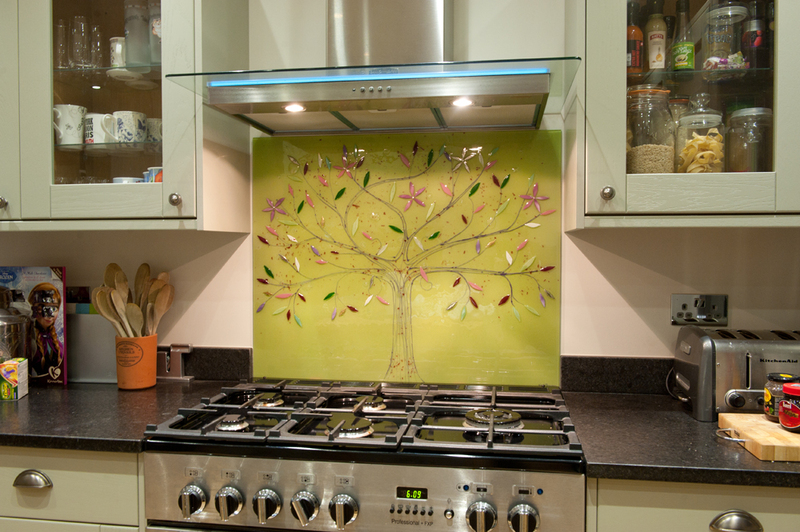 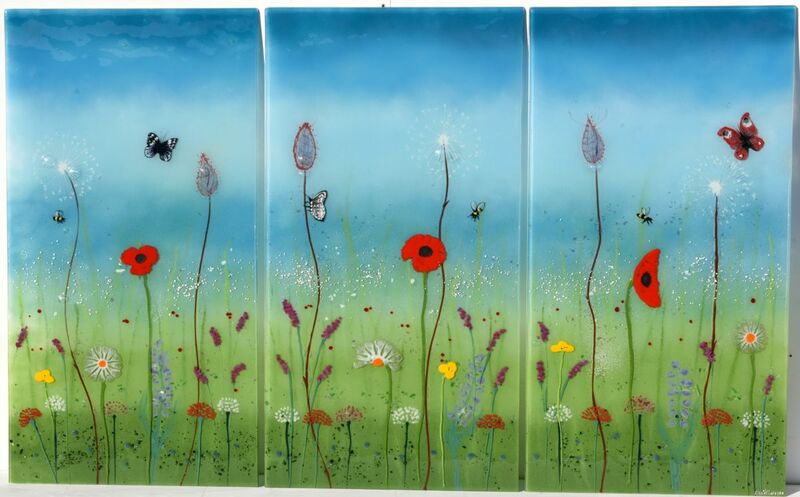 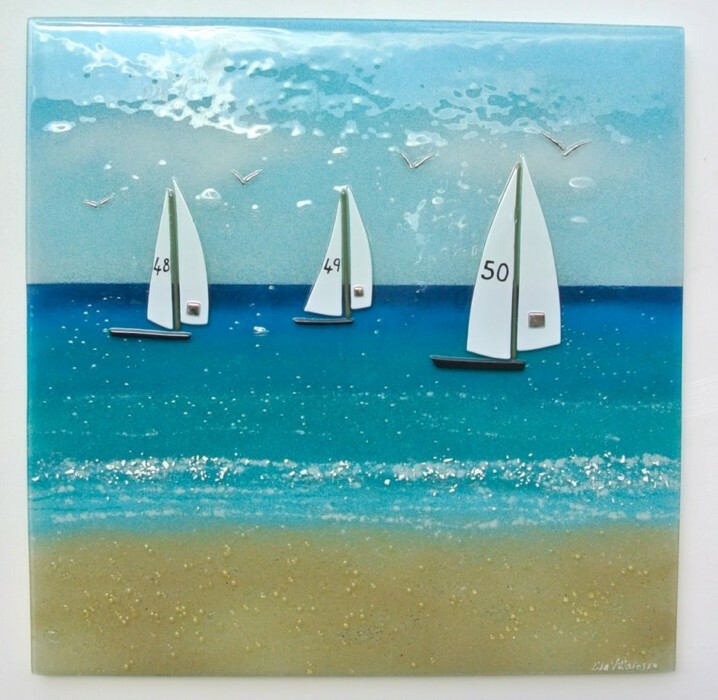 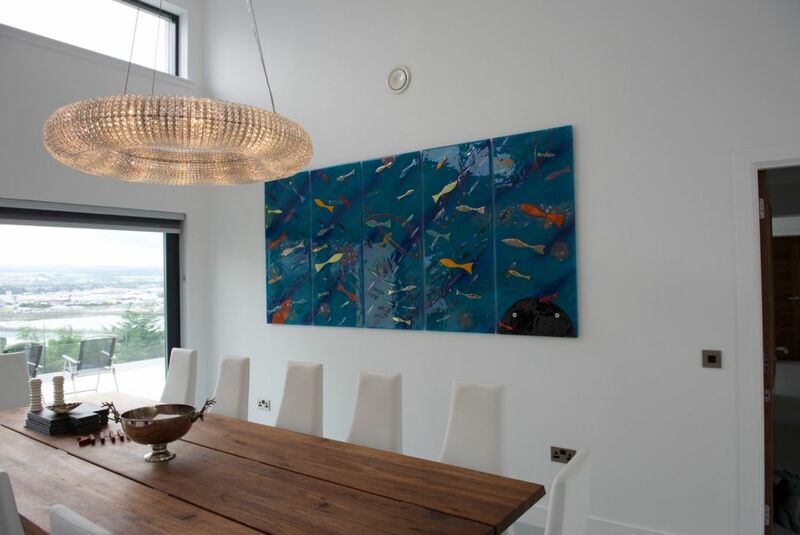 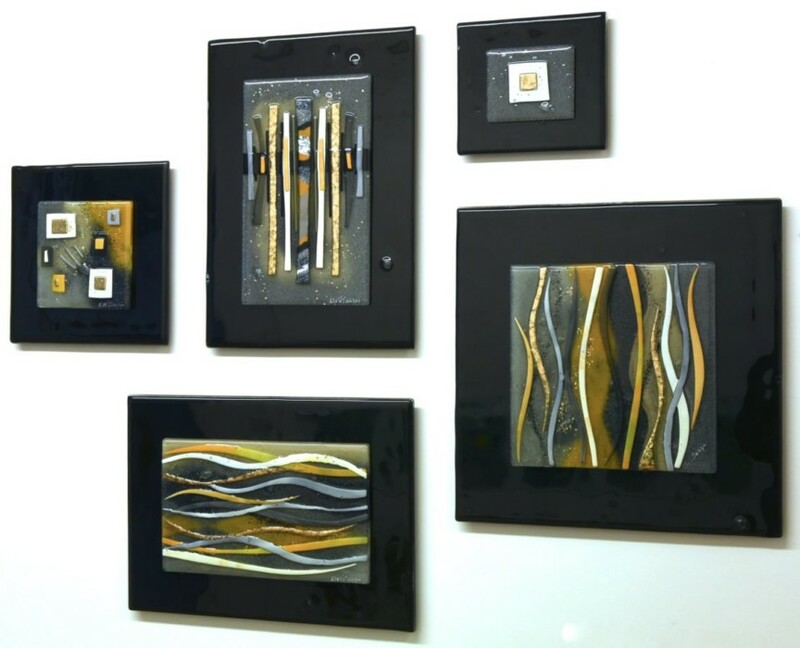 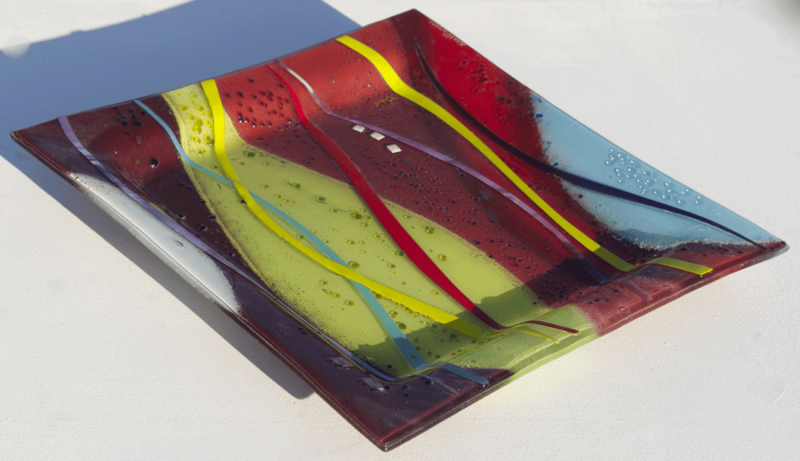 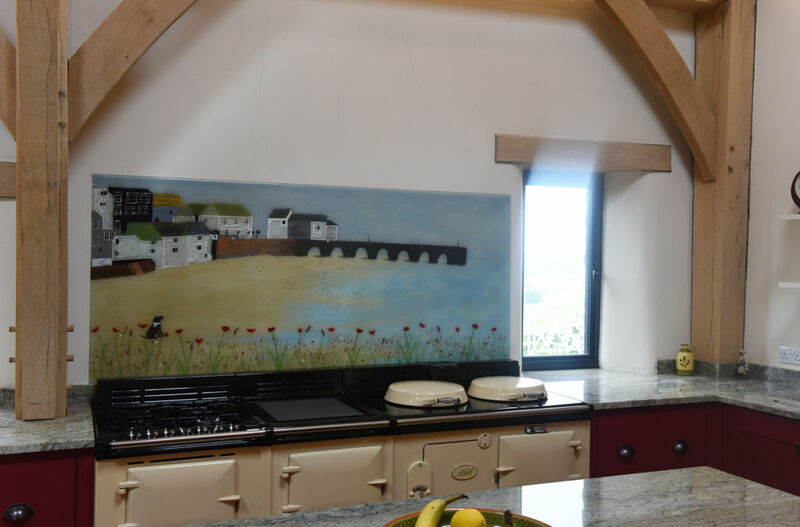 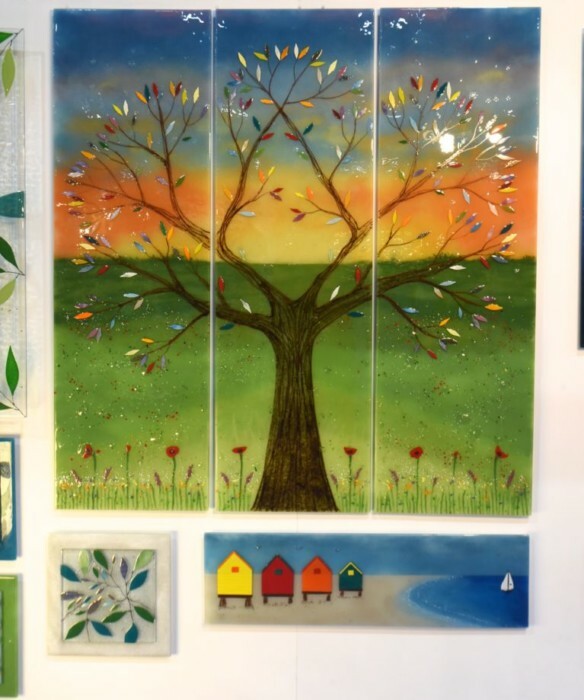 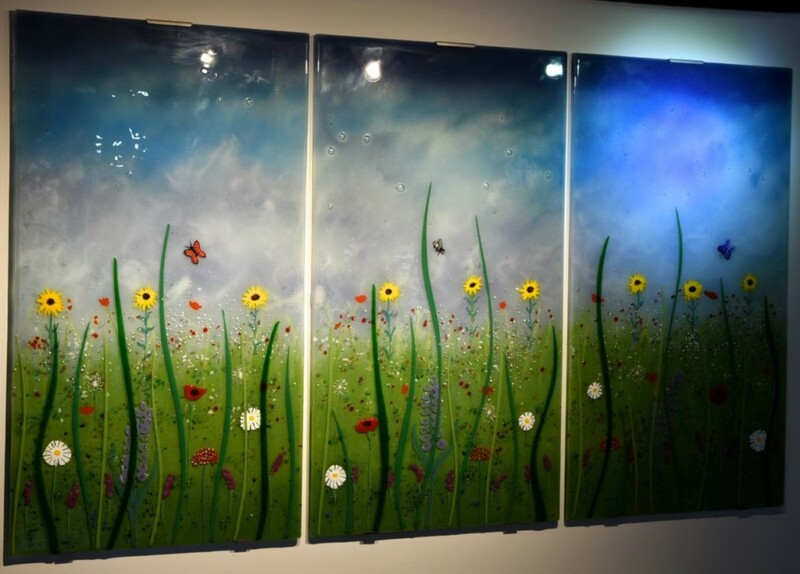 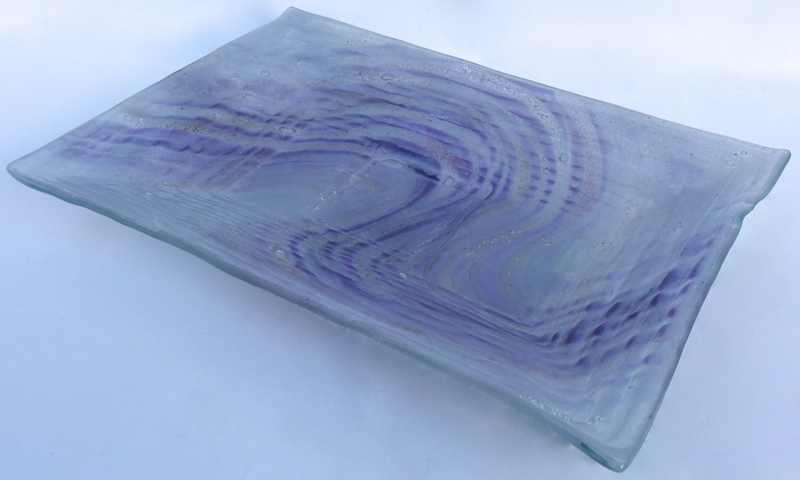 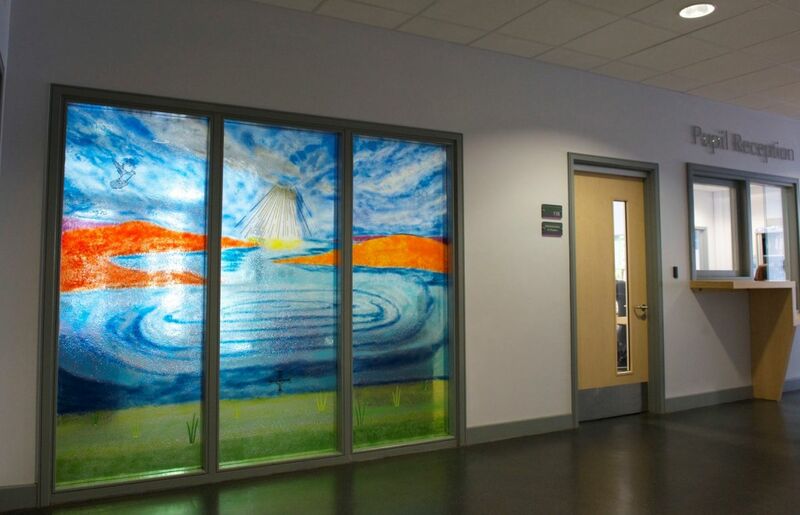 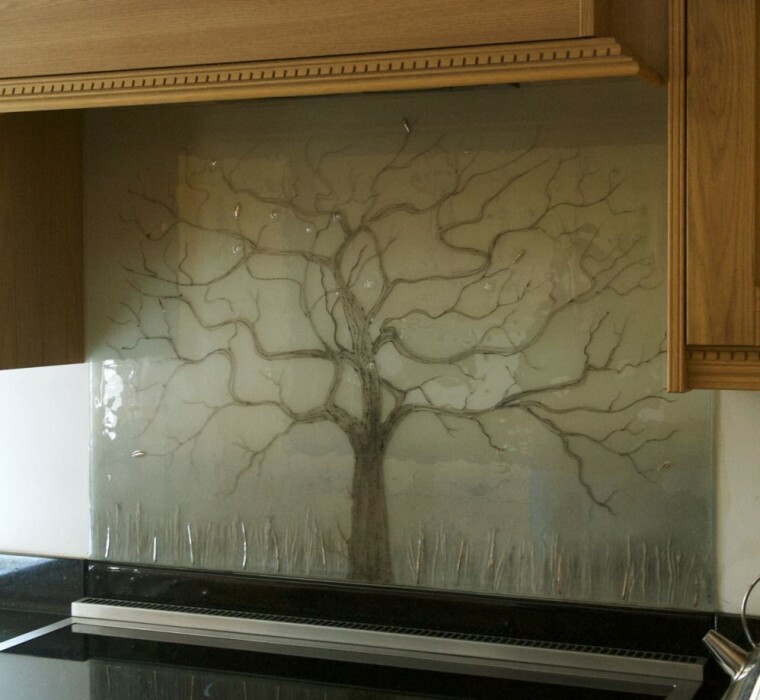 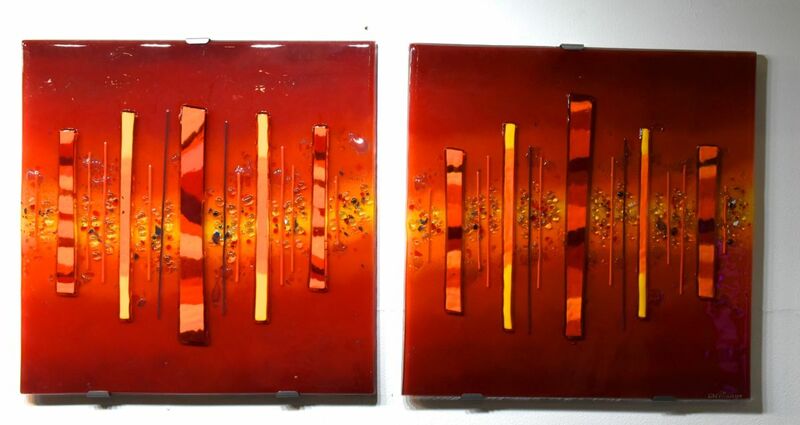 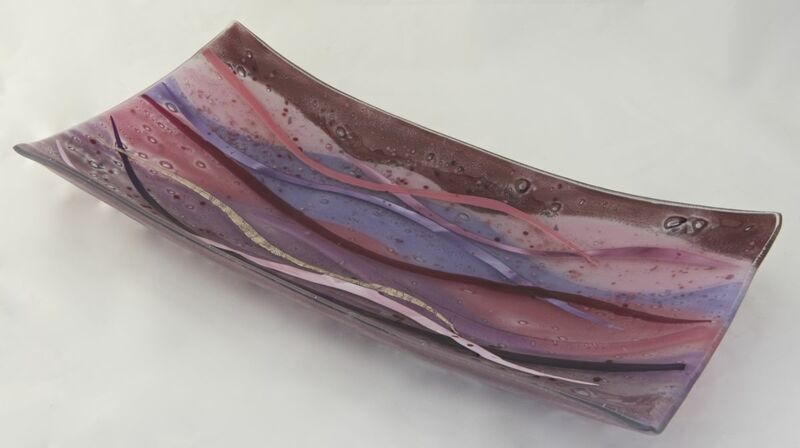 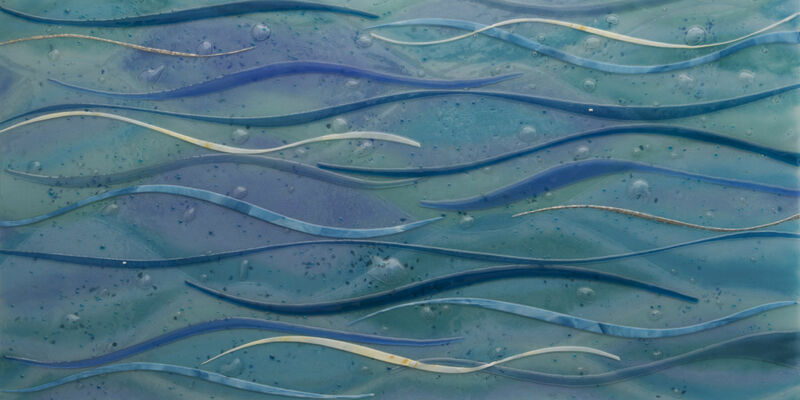 Interested in what our fused glass art could do for your home? 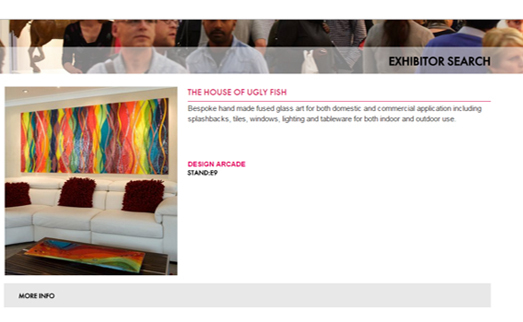 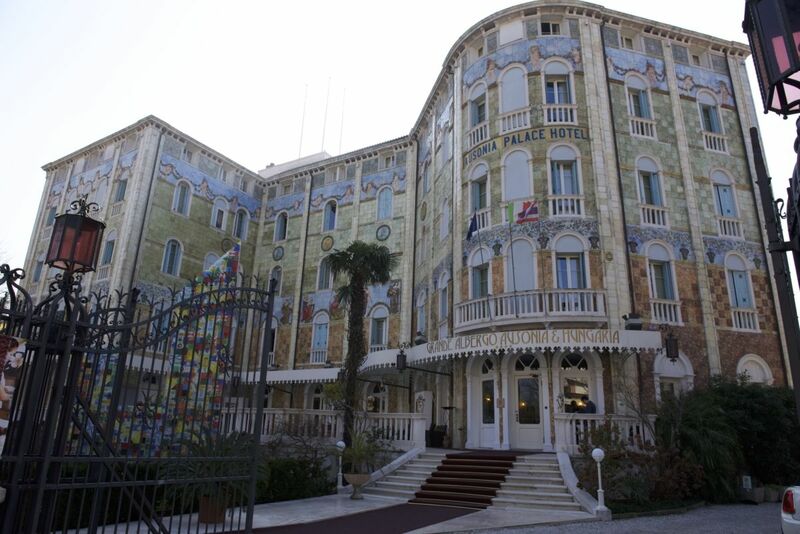 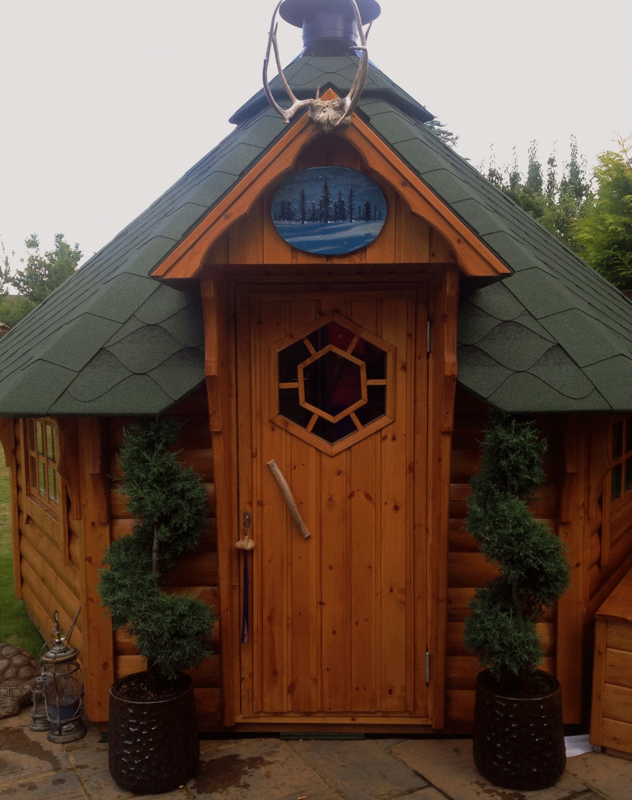 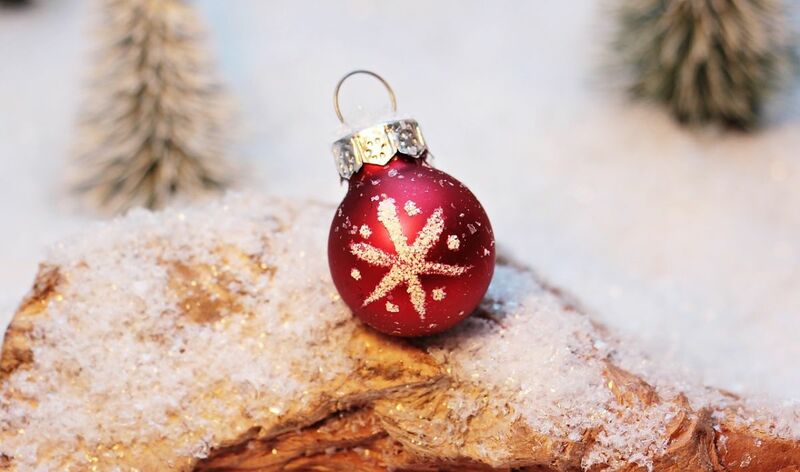 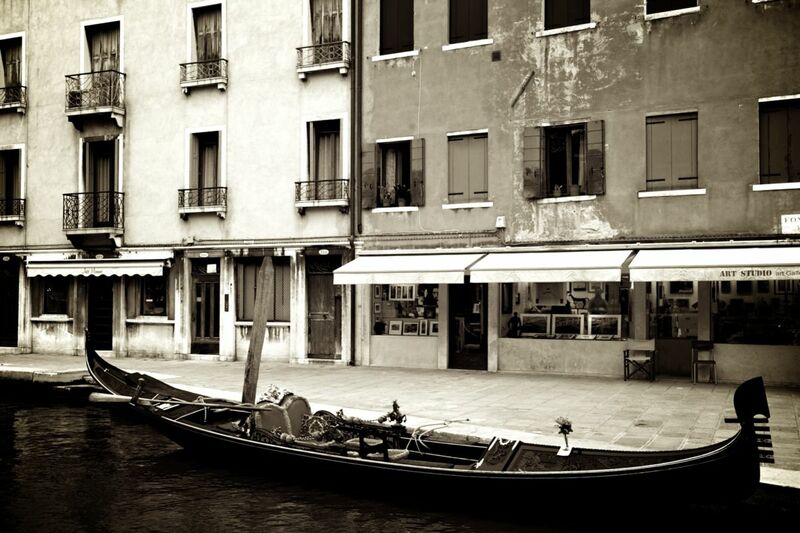 If you just can’t wait to get your hands on something special from the experts here at The House of Ugly Fish, then get in touch as soon as you can. 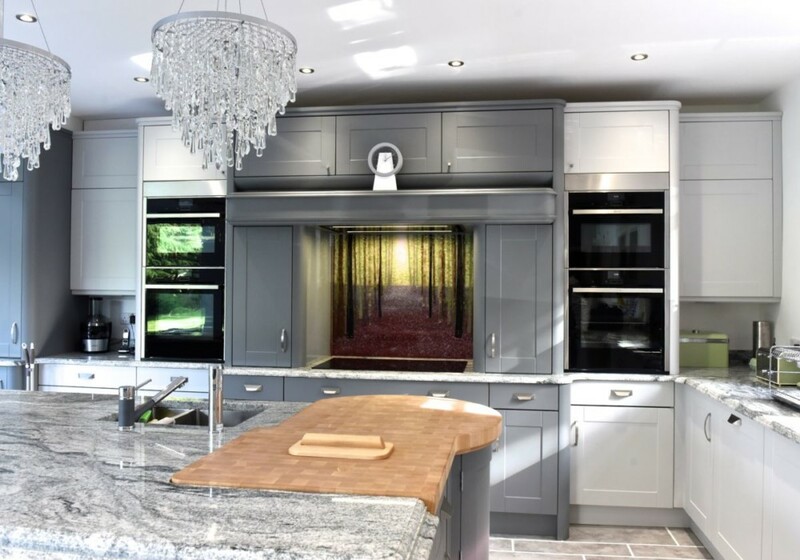 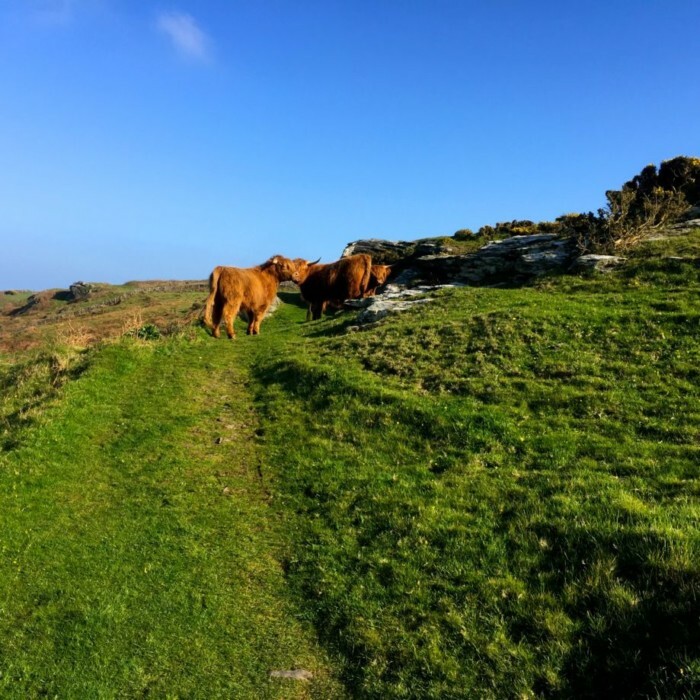 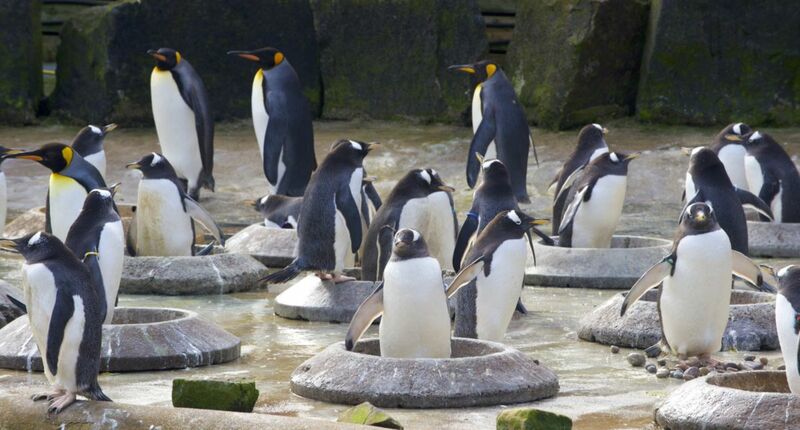 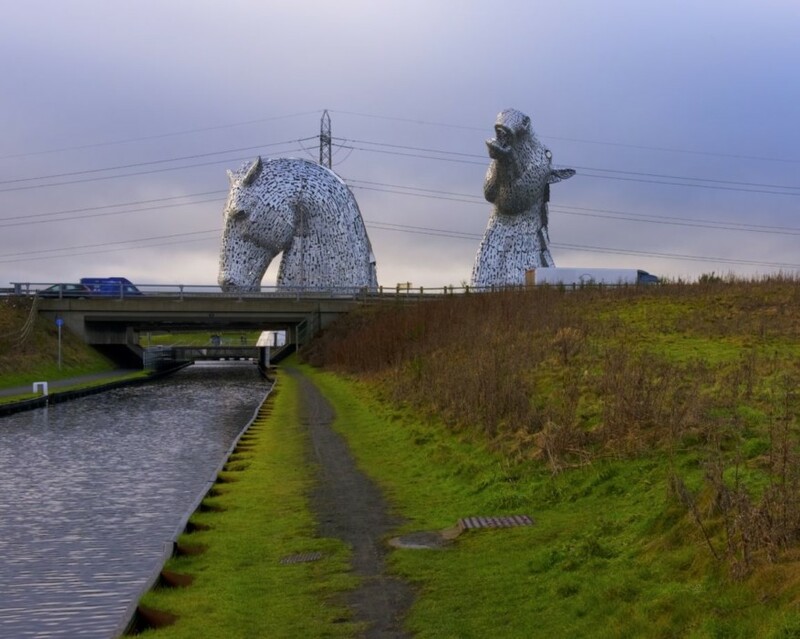 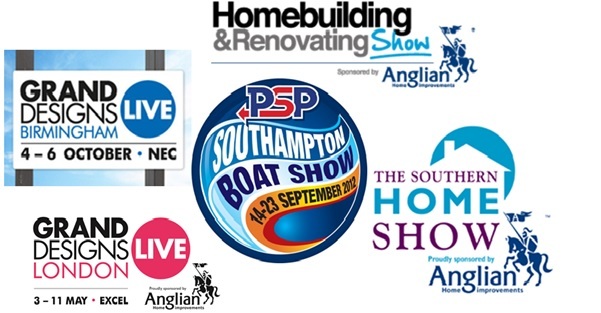 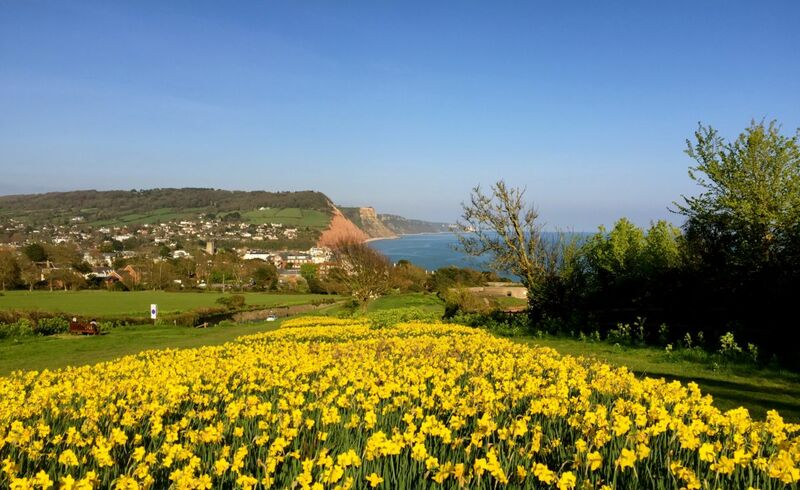 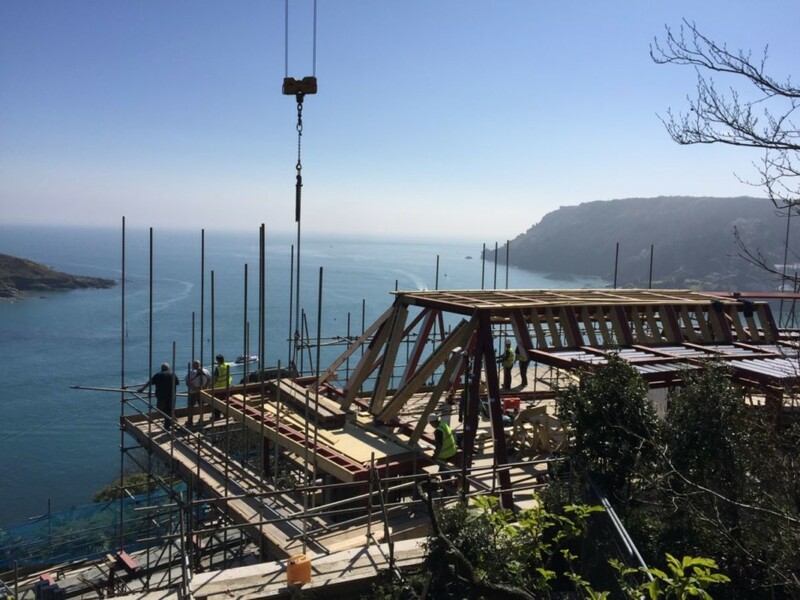 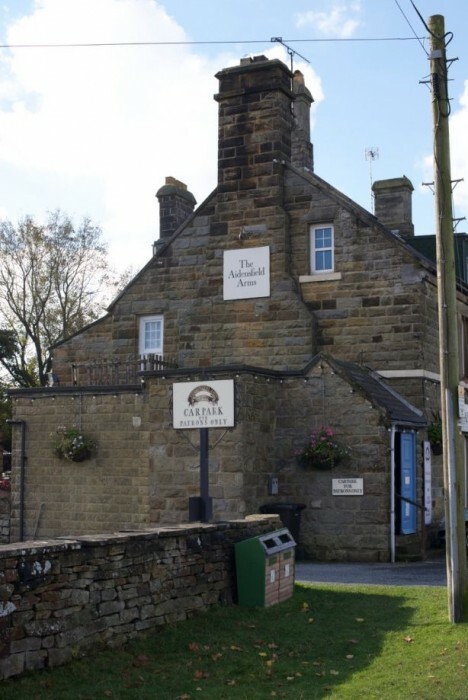 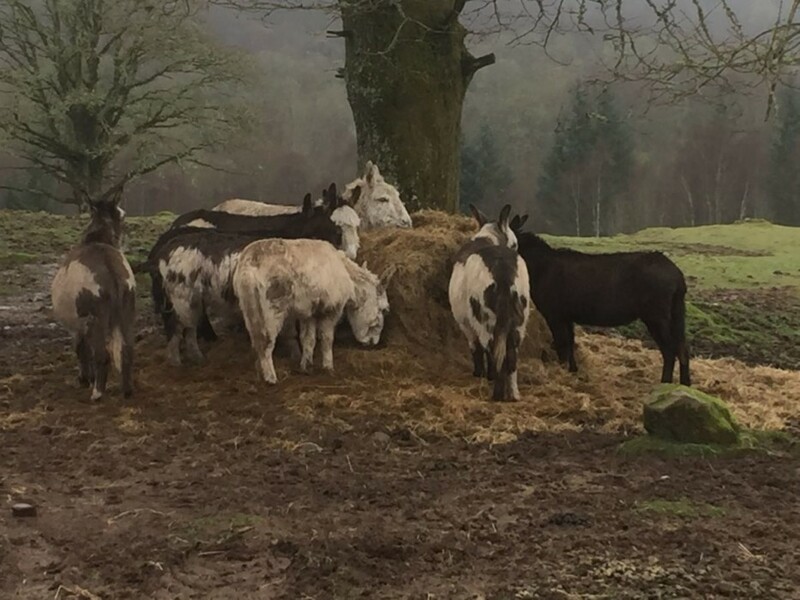 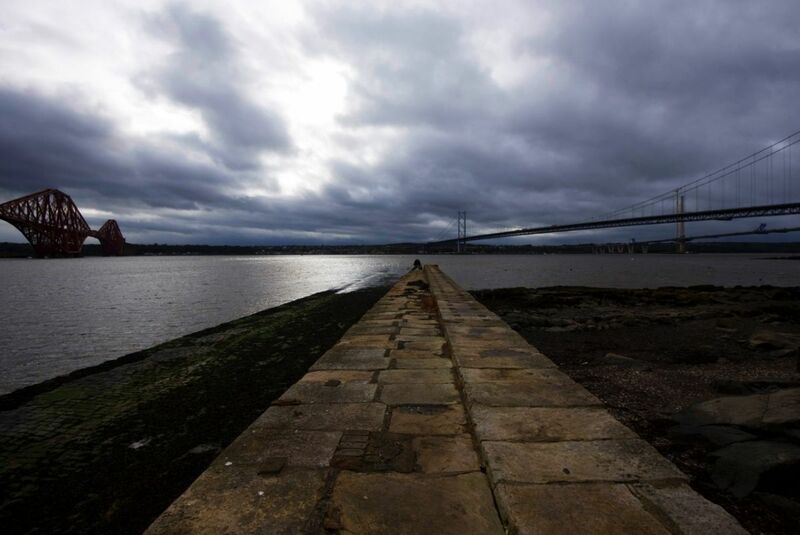 Our full contact details can be found right here on our website, and reaching us really is as easy as picking up the phone or sending us an online enquiry. 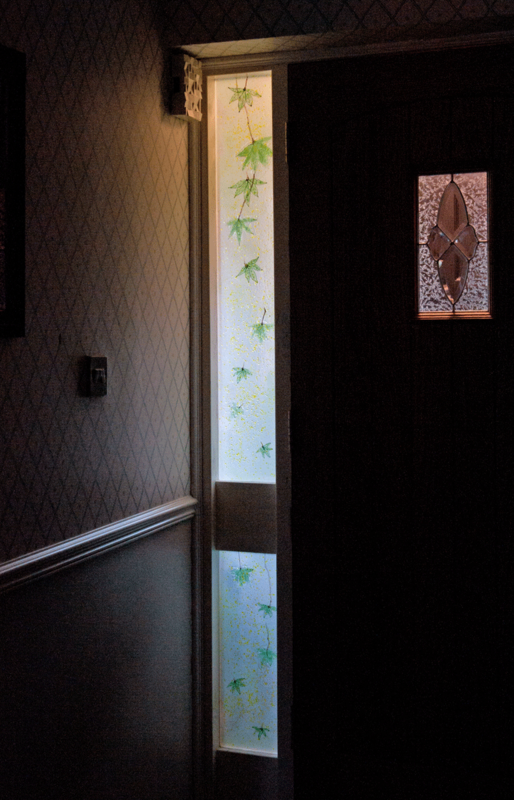 Hopefully, we’ll be delivering something special to your doorstep soon!